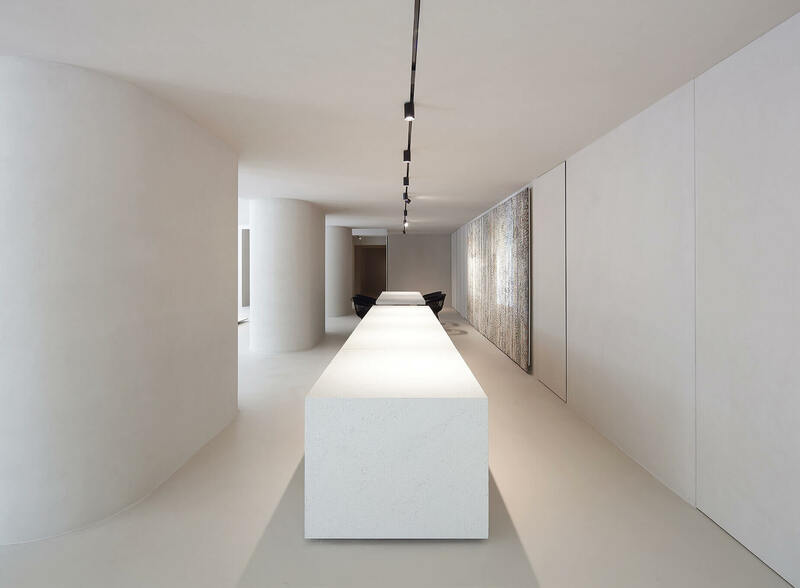 Events and Exhibitions, Projects, Corporate, Focus on. 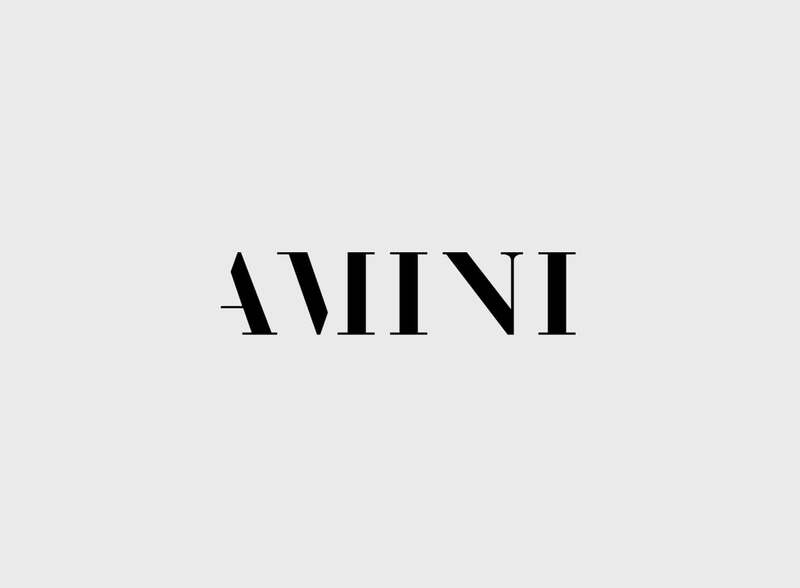 A four areas platform dedicated to the world of Amini. 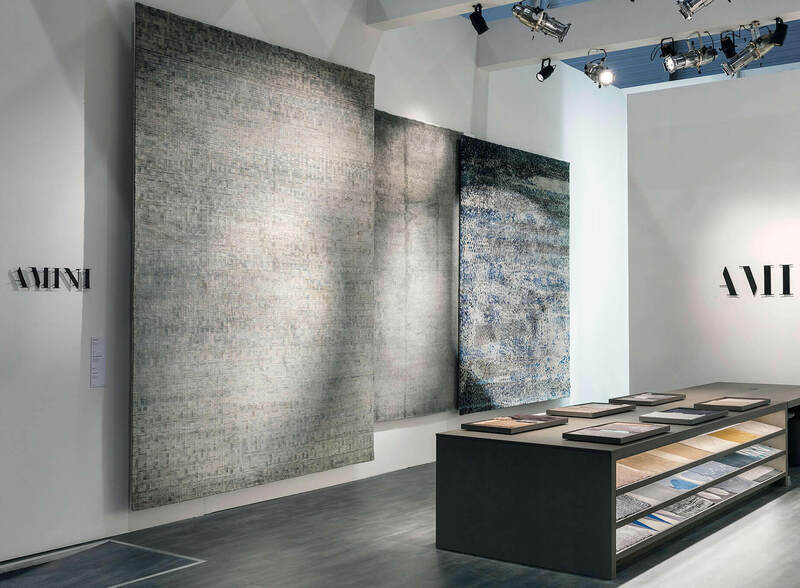 Displayed at our stand at Milano Rho Fiera our latest designs, our collections of carpets created in collaboration with Antonio Marras, Elisa Ossino, Rodolfo Dordoni and Tessitura Luigi Bevilacqua, together with a selection of rugs from Icons and Vintage collections. 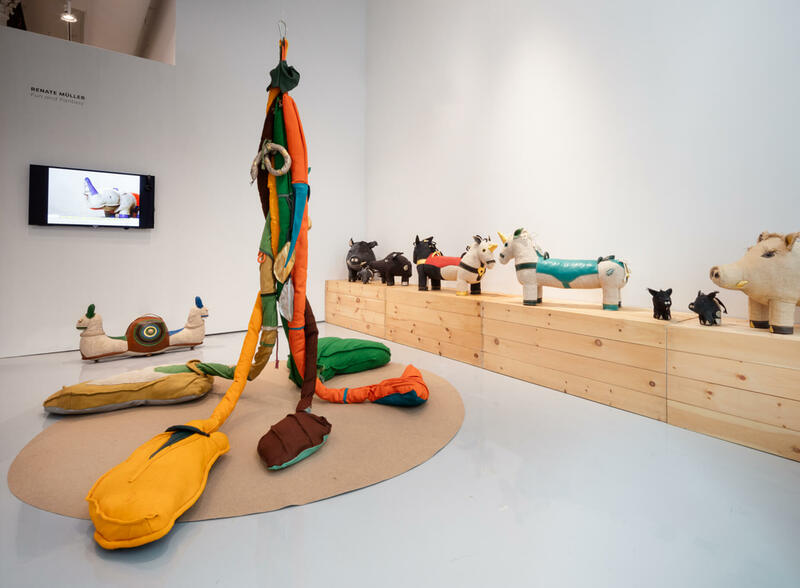 A new space that offered a wide range of products and curiosities, to guide the visitors to the discovery of our world. 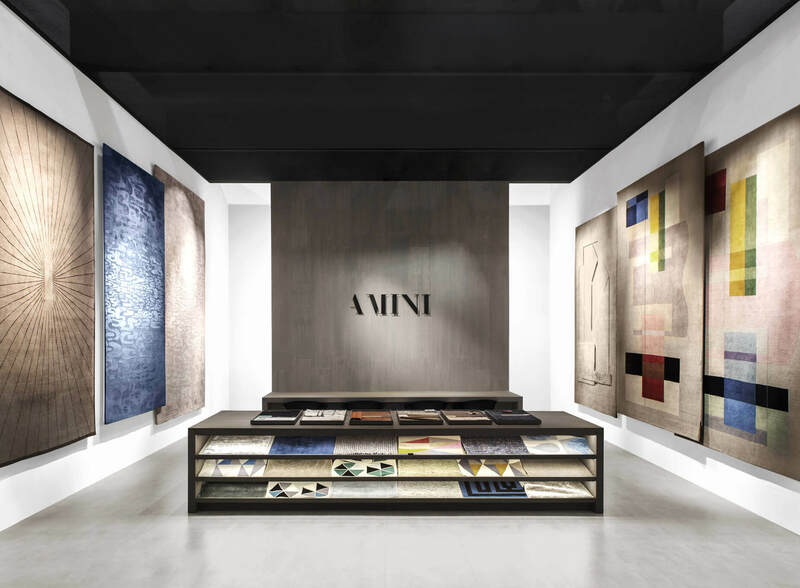 Framed by the dynamic environment of the Milanese week dedicated to the world of design, event that echoes internationally calling a vast public from all over the world, Amini presents its new collections 2019. 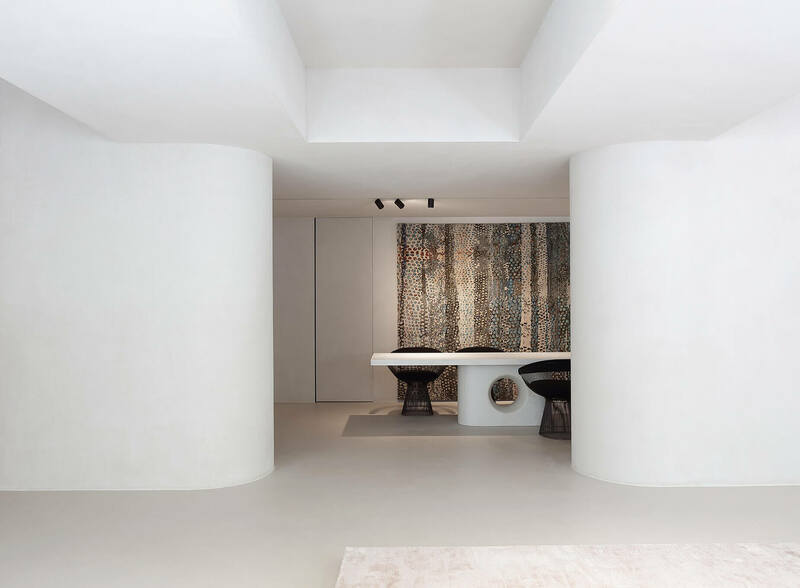 Under the sign of art, a stone’s throw from MiArt and a new upcoming edition of Salone del Mobile, Amini, in collaboration with R & Company, invites design and art lovers to a live experience with the virtuous processes that led to the birth of Woven Forms. 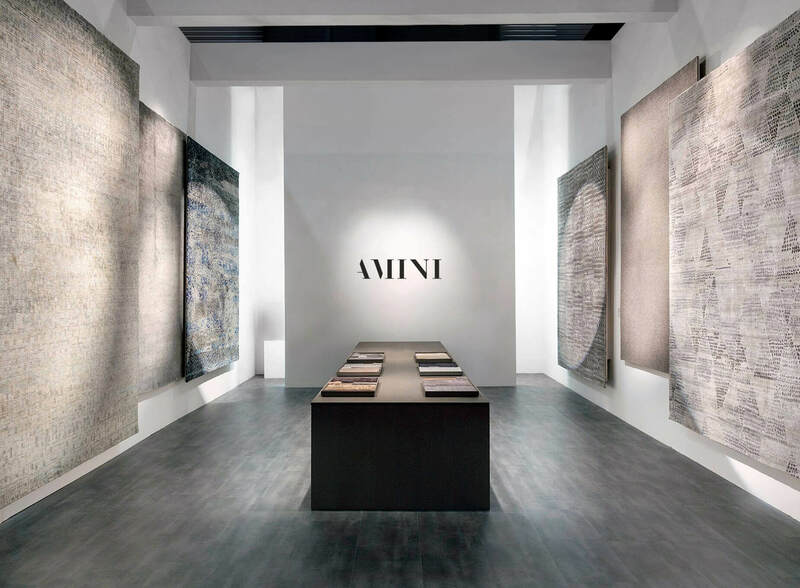 From April the 9th to the 14th, at Salone del Mobile di Milano and at other downtown locations, Amini Carpets is presenting 5 new collections which reflect the brand’s artisanal expertise and ongoing technical and artistic research. 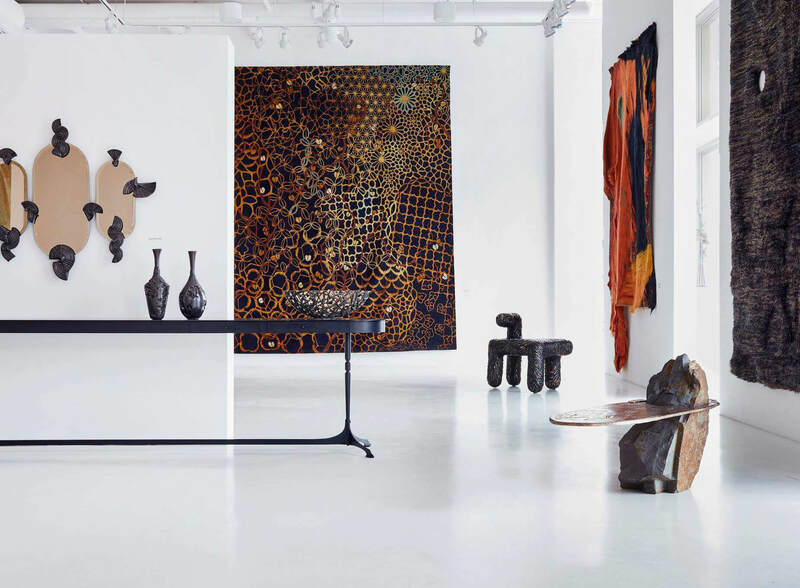 Eclecticism and plurality are the standout features of the collections, fruit of partnerships with designers who adopt various approaches to delineate a whole whose creative language is expressed in multiple facets. 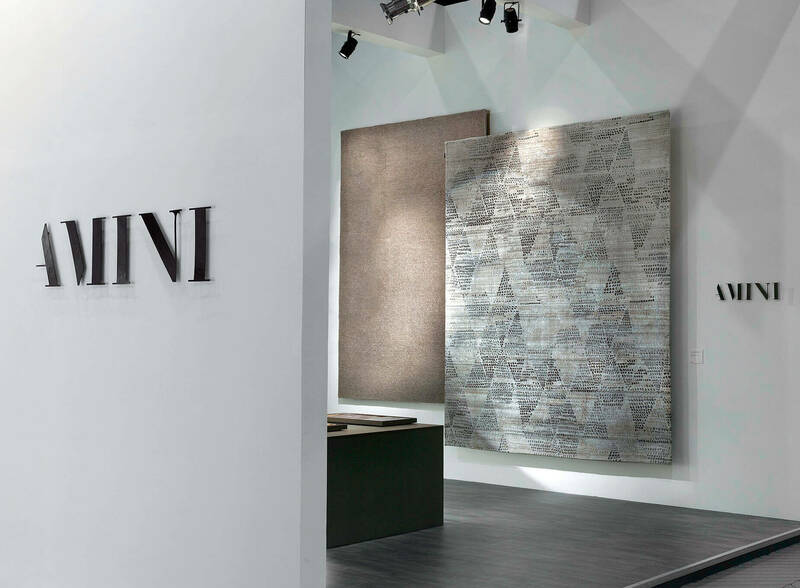 Come visit us at Hall 22 Stand C32/36, Fiera Rho Milano and at Amini Showroom Milan, via Borgogna 7. 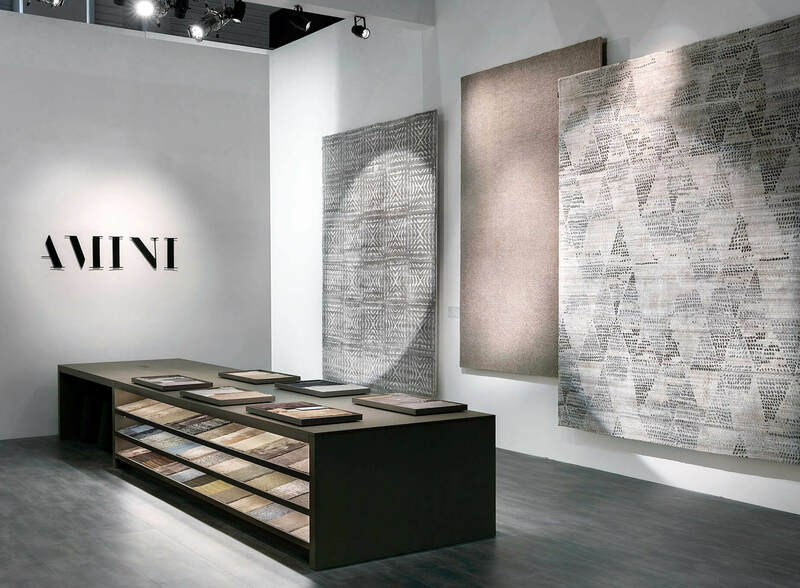 From the 17th to the 21st of January Amini participated with Tessitura Luigi Bevilacqua at Paris Déco Off, the event that transforms the center of Paris into an exhibition space dedicated to interior decoration. 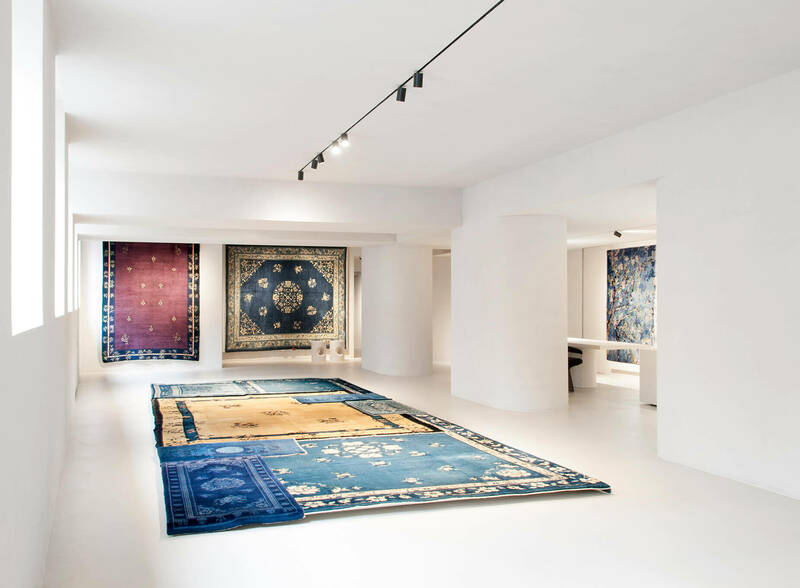 On the occasion of the tenth anniversary of the exhibition, at Galerie Christy Amini presented the new carpet collection developed in collaboration with the ancient Venetian manufacture. 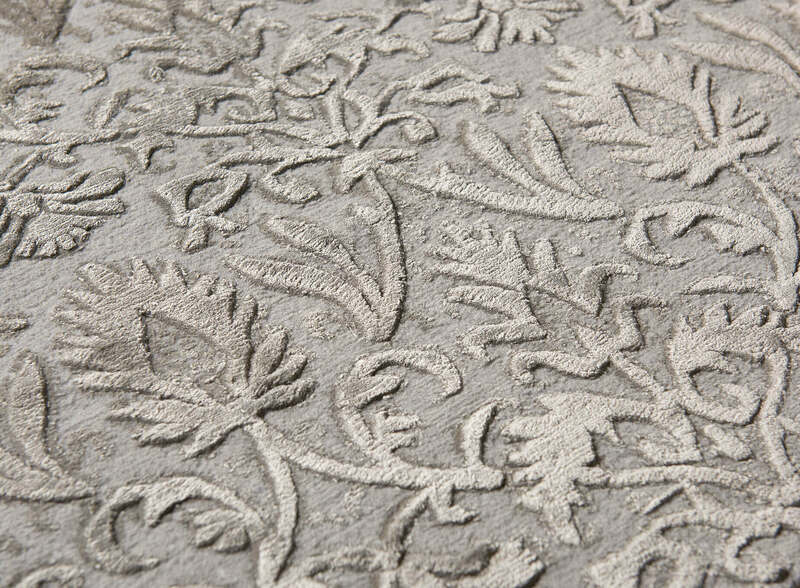 Among the news the Rinascimento collection, carpets that reinterpret the floral motif of Damask in a mix of wool and silk that creates plays of light and shadow, with the complicity of multi-level workmanship. 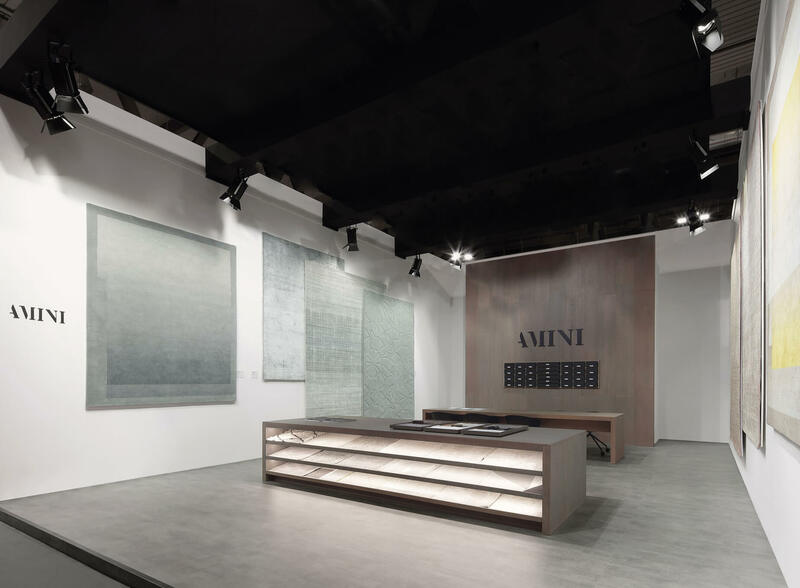 The deep knowledge of wool, flax, silk, leather and other natural high quality materials used in the Amini production process requires a constant update: that is why the company has created Amini Studio, a special unit dedicated to the study and research of new proposals, made possible by the combination between processing techniques and colors exsperimentations, analyzing and working on pallets and matchings. 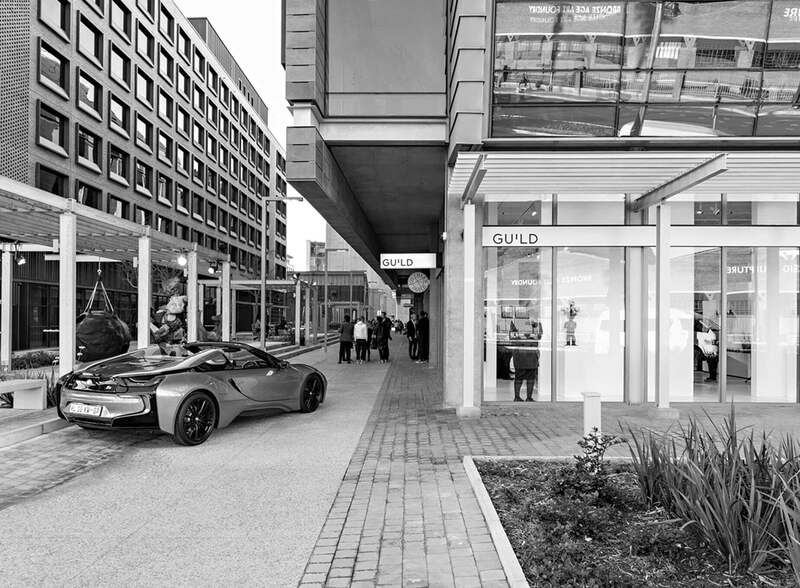 The “Ferngully” exhibition opens at the Bass Museum of Art in Miami on December 5th. 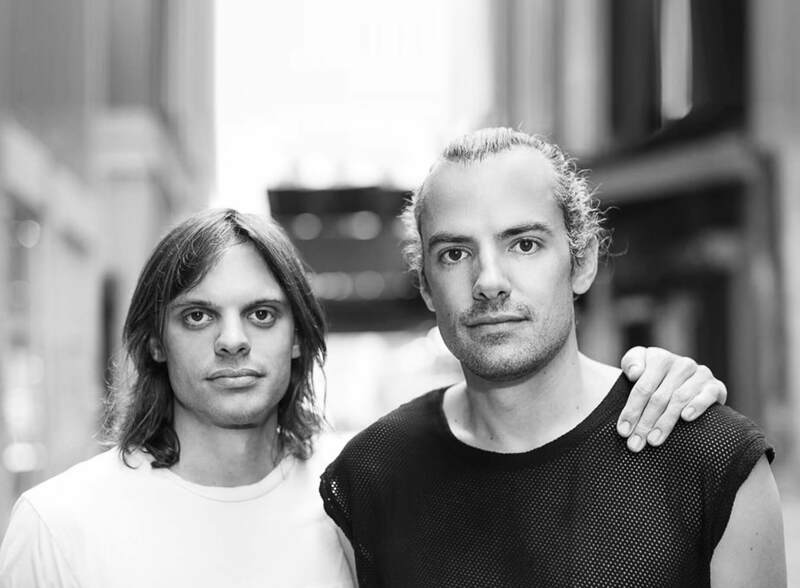 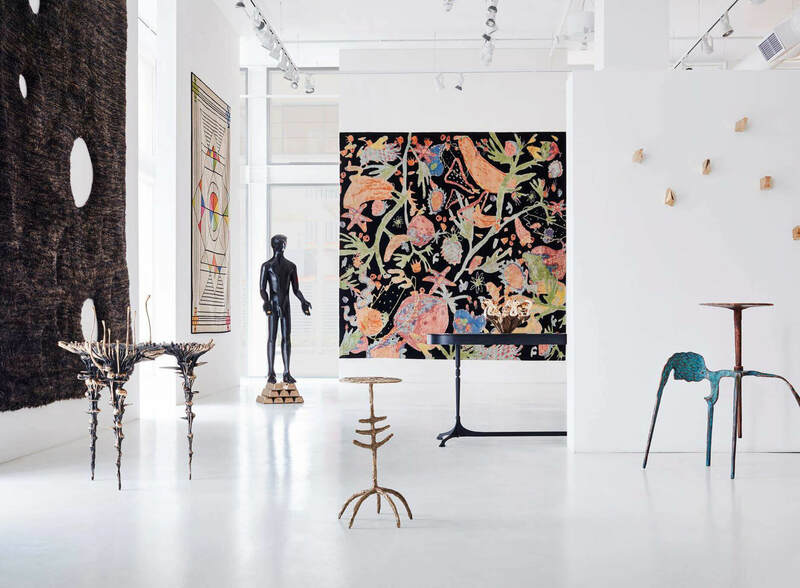 In their first solo exhibition, The Haas Brothers duo walks the guests into a fantastic, nostalgic and enveloping environment, remindful of renovation and rebirth, both found in nature. 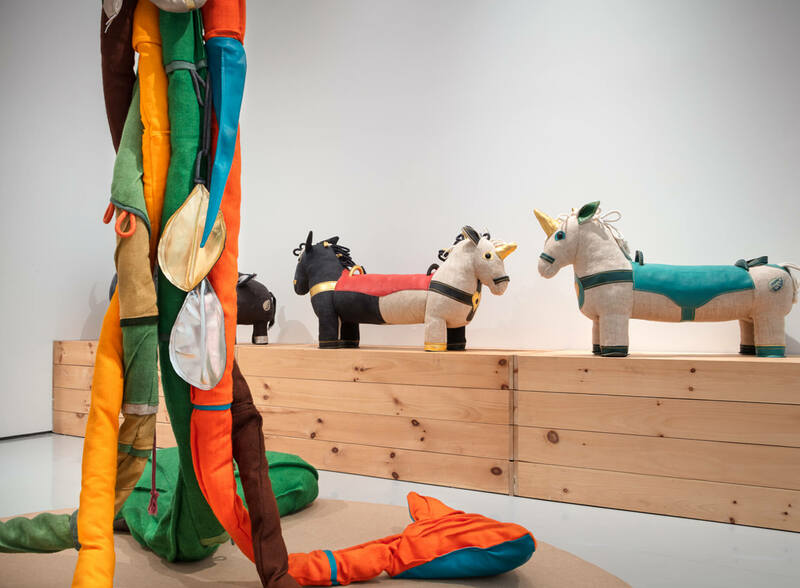 The exhibition takes its title from the animated children’s film of 1992, “FernGully: The Last Rainforest.” Set in a magical forest, the film retraces the adventure of two unlikely companions, a fairy named Crysta and a lumberjack named Zak, who join forces to save their home from devastation. 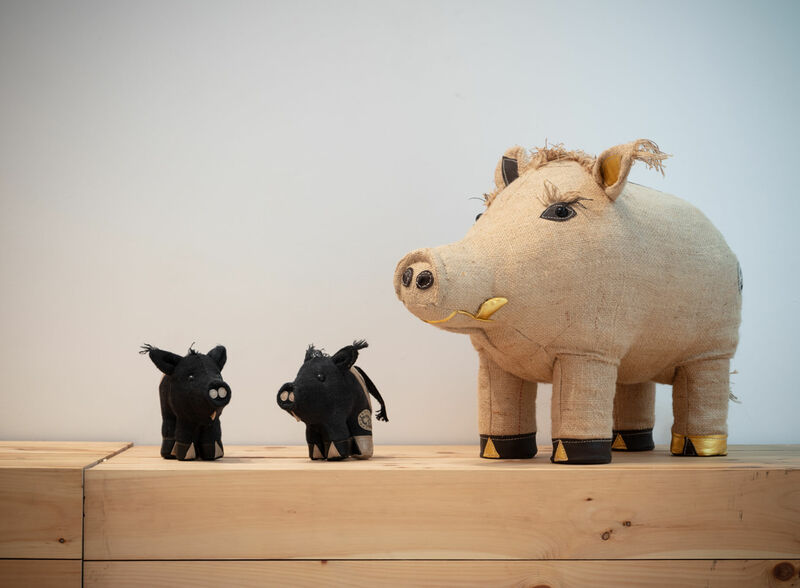 A reality that, seen through the innocent eyes of childhood, leads the child to an imaginary world made of monsters, animals dreamlike landscapes, placing a link between the intrinsic functionality of nature and man-made creations. 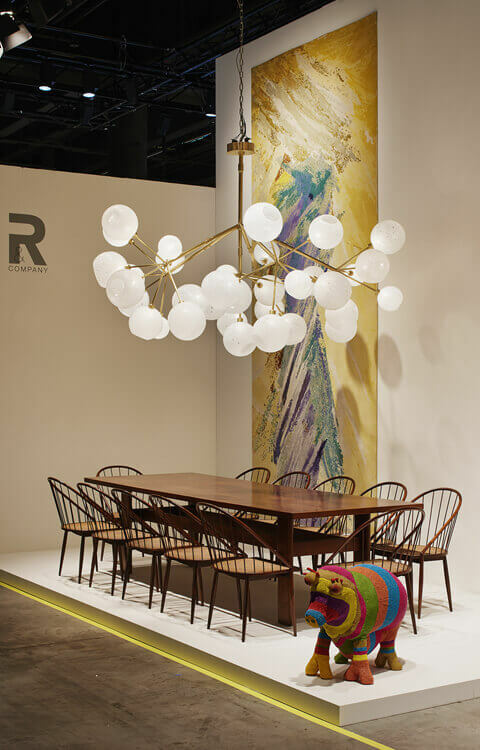 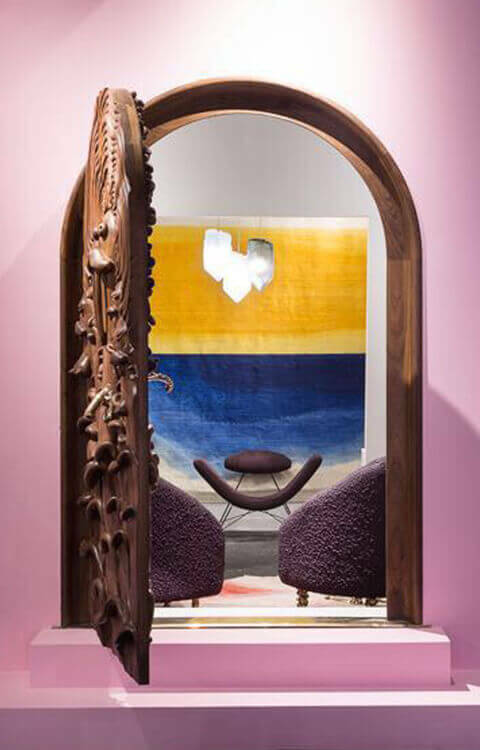 On the occasion of the 14th edition of Design Miami, R & Company is presenting a special selection of design pieces. 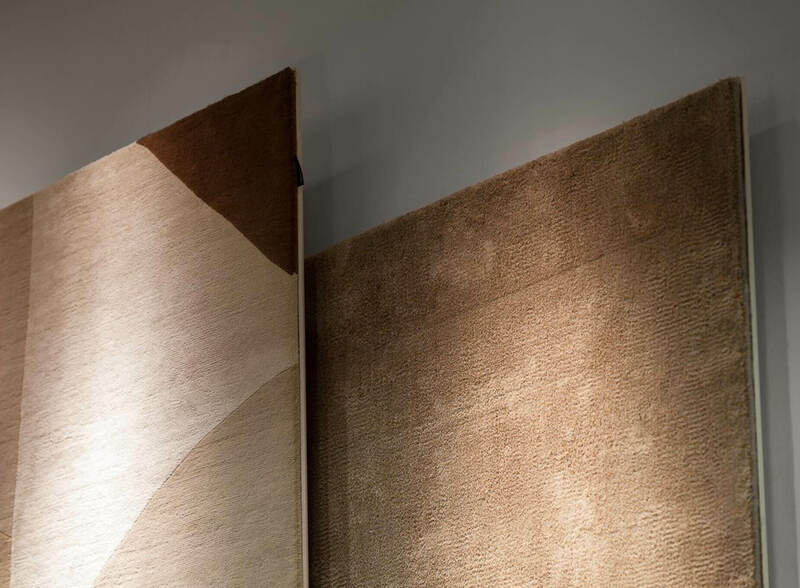 Among the protagonists of the booth, the Wendell Castle rug from the Woven Forms Series, made in collaboration with Amini Carpets. 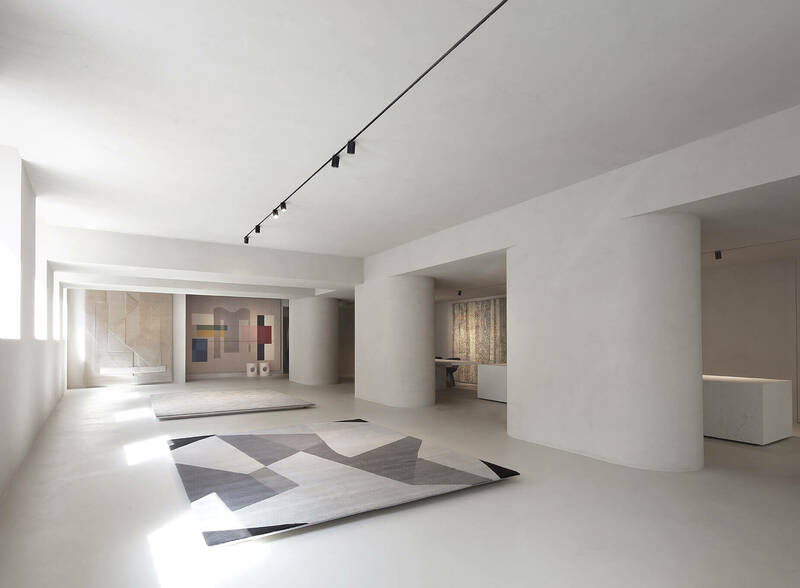 At the Milan showroom, Amini presents a selection of carpets from the Gio Ponti Collection. 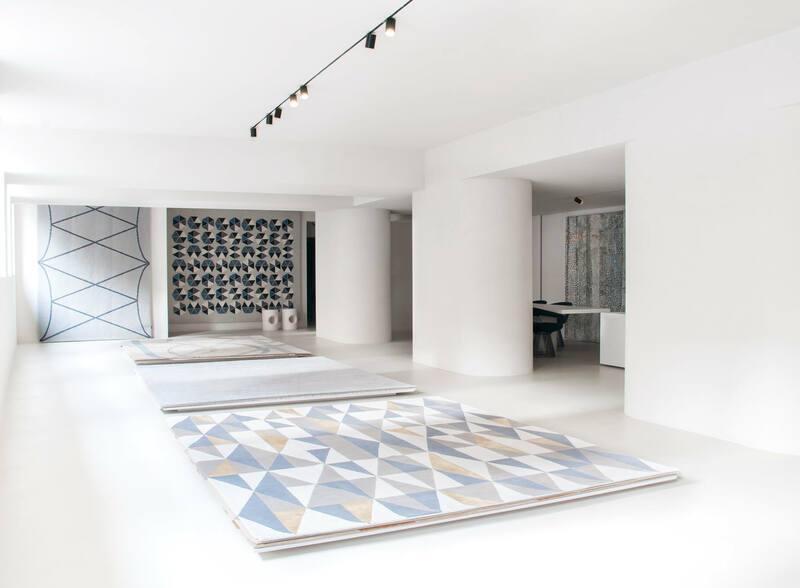 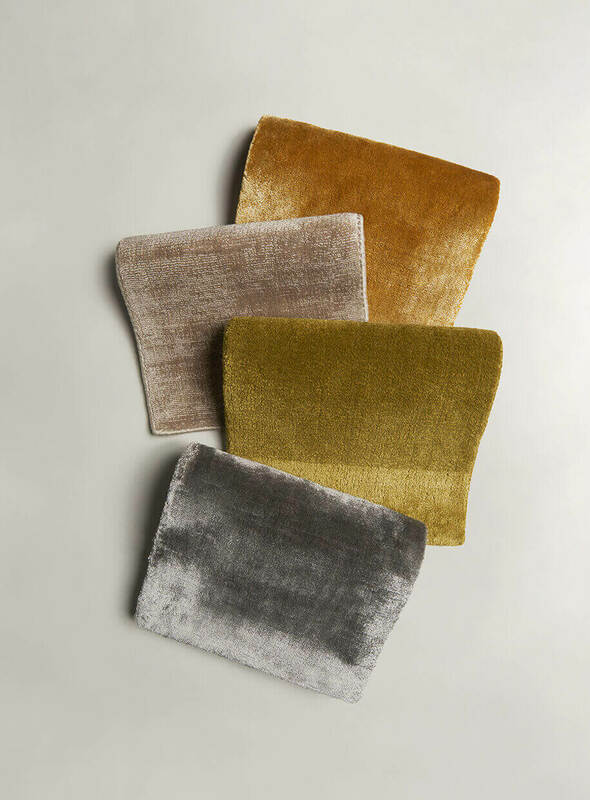 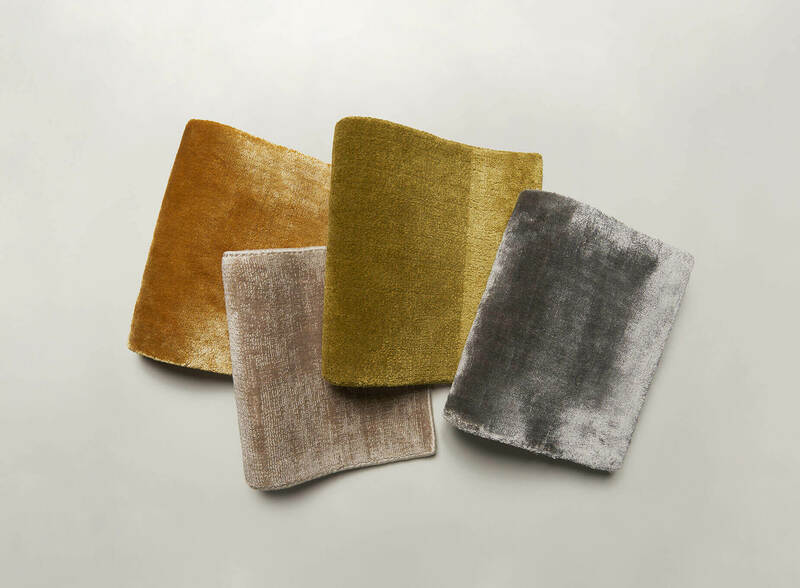 A series of contemporary rugs that play on sometimes lighter or more pronounced features, on blurred contrasts or hints of very bright colors, and on simple geometries that convey a sense of three-dimensionality and depth to the carpet. 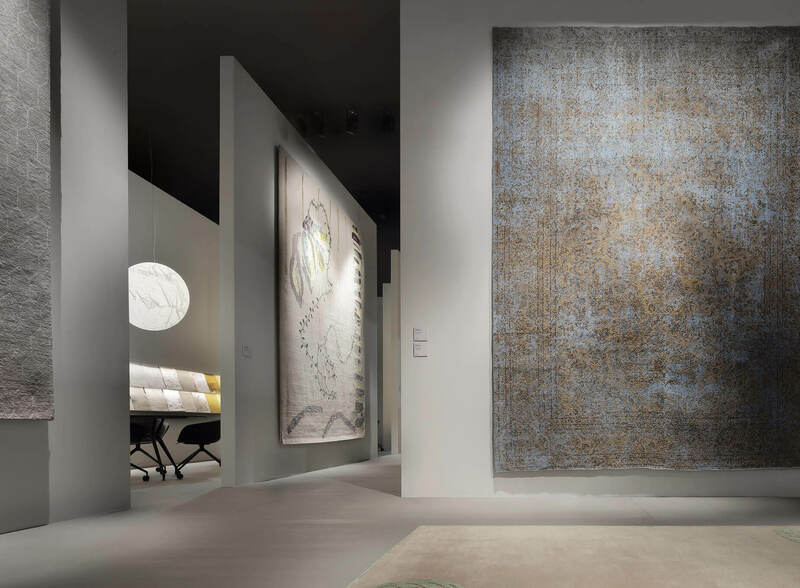 Among the carpets on display there are Diamantina, Lettera Disegnata, Dote, Sole Luna and Taranto carpets. 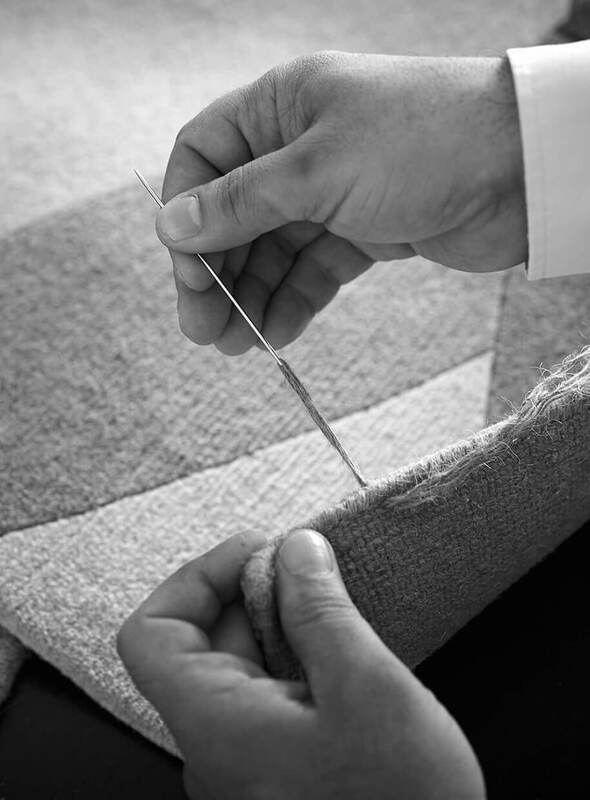 As we know, the Eastern tradition of carpet making is centenary. 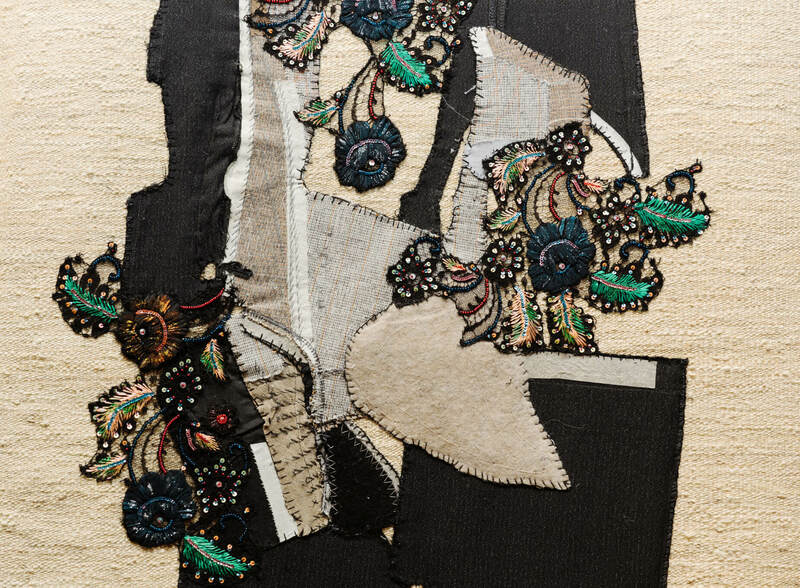 Many were the artists inspired by its aesthetic and beyond the great quality of wools and silks, their weaving technique refined by research and experimentation is a longtime well-known fact. 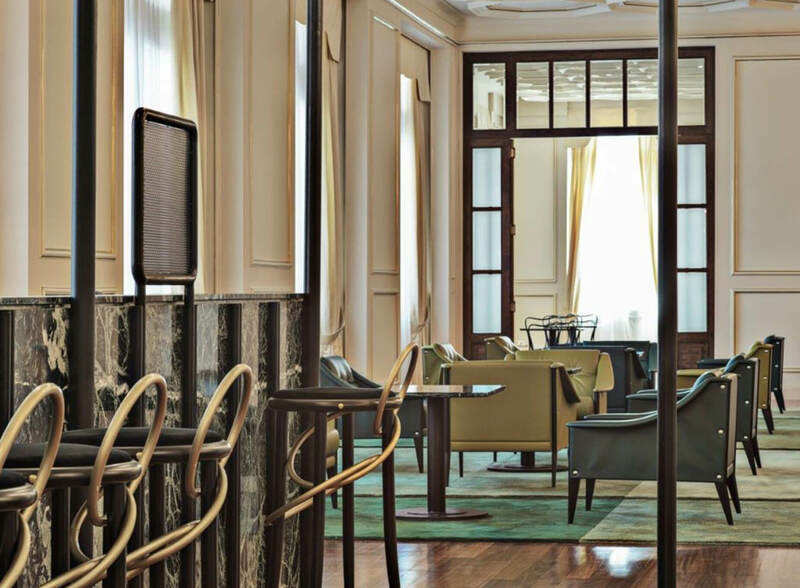 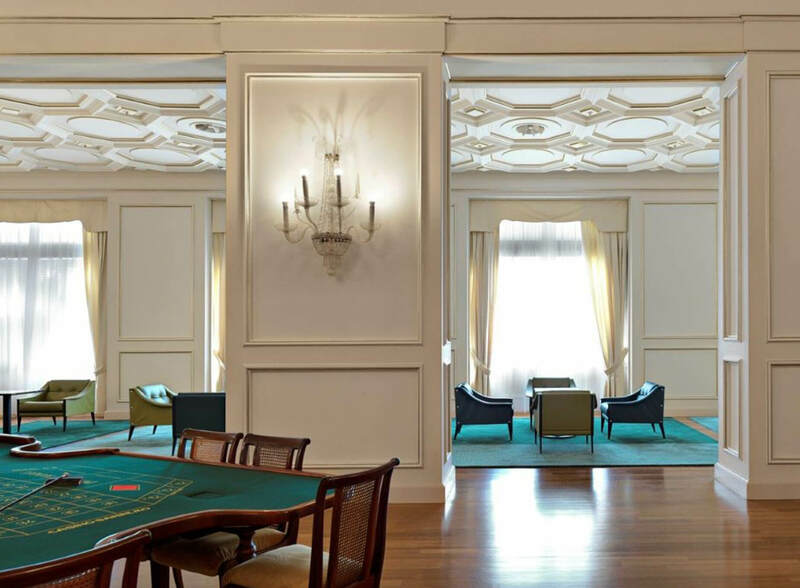 Amini is proud to be among the selected brands chosen for the furnishings of the renovated Sala Dorata and Sala Privata of the historic Casinò di Sanremo. 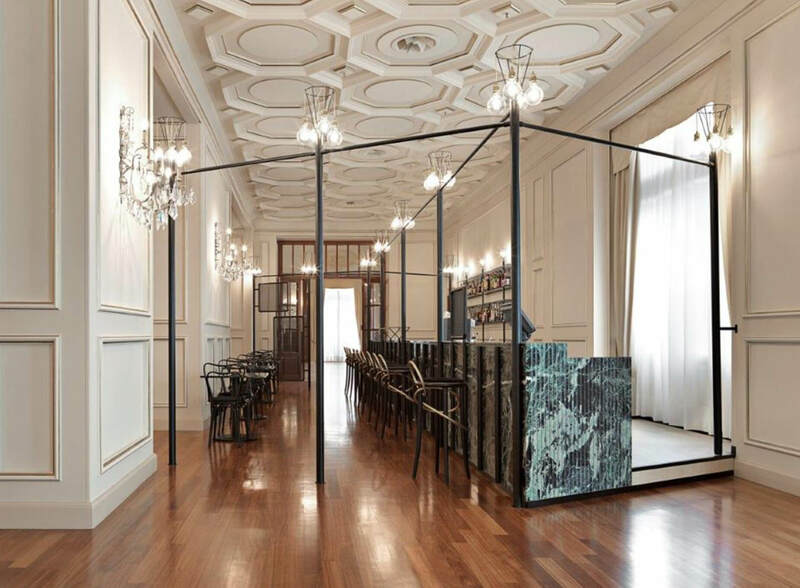 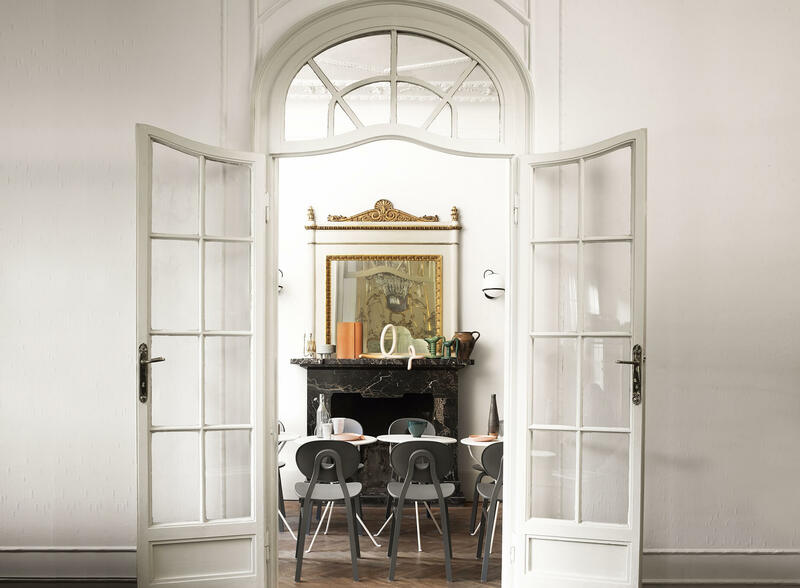 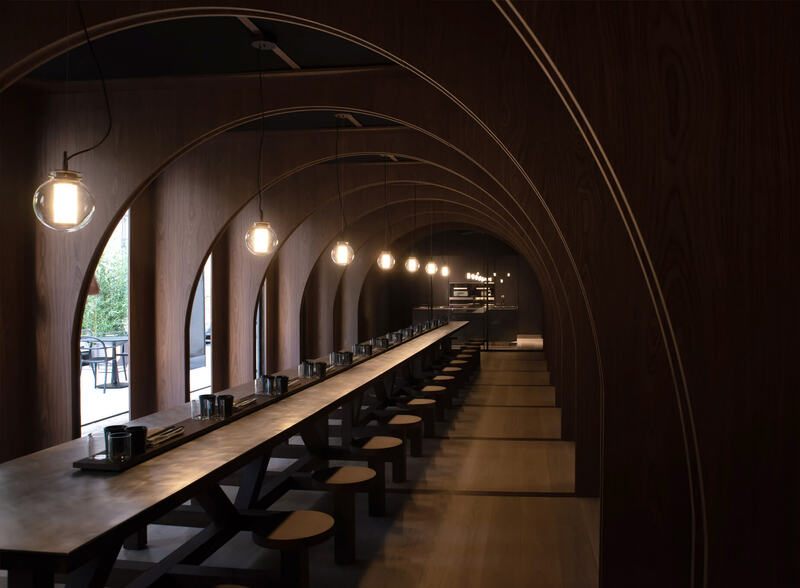 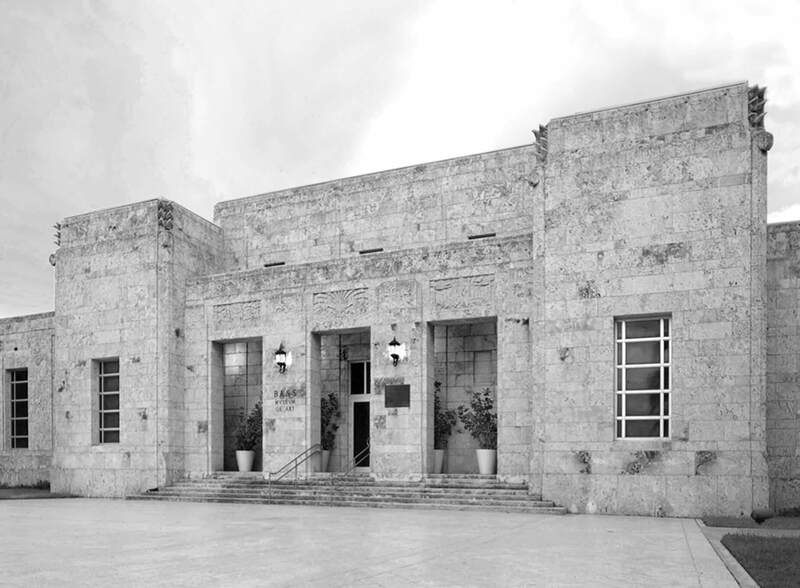 Designed by the architect Marco Romanelli and inspired by Adolf Loos and by the elegance of the Viennese Secession, the project combines iconic elements referable to the great masters from the past, such Gio Ponti’s, with more contemporary and experimental ones like the design of Martino Gamper. 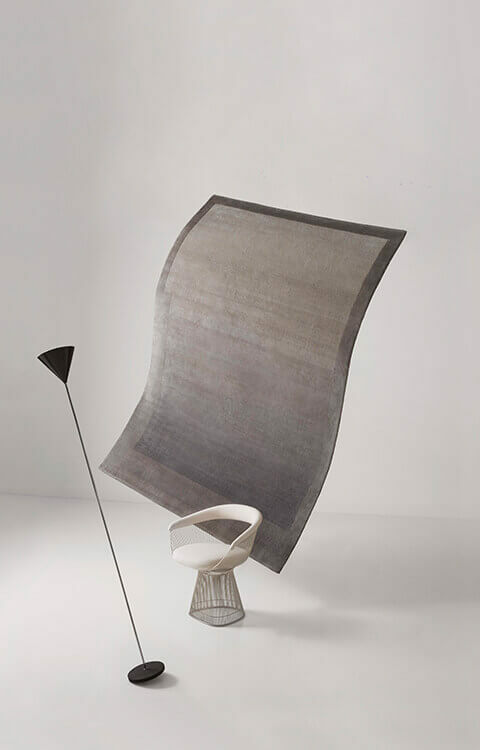 A year and a half after the debut at the 57th Venice International Biennale, the Woven Forms collection will be shown in South Africa for the first time, at Southern Guild from 20 September until the end of 2018. 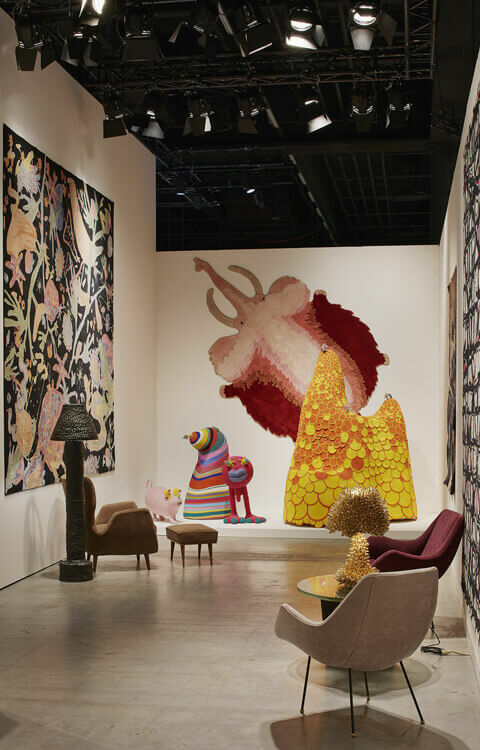 On show the carpets created by Wendell Castle, Rogan Gregory, Dana Barnes, the Haas Brothers, Katie Stout, David Wiseman and Renate Müller. 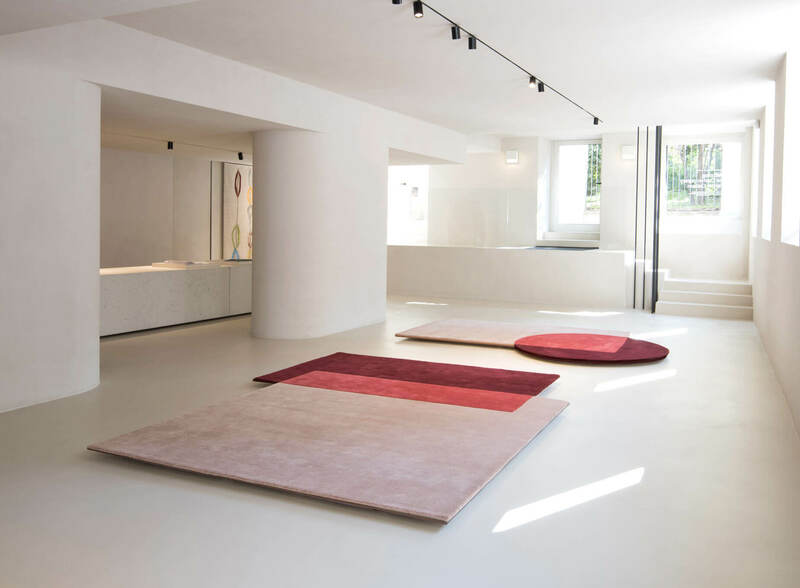 The exhibition space, designed by Elisa Ossino Studio, represents the new landmark for architects, interior designers and private customers interested in knowing the timeless qualities of Amini’s carpet and service. 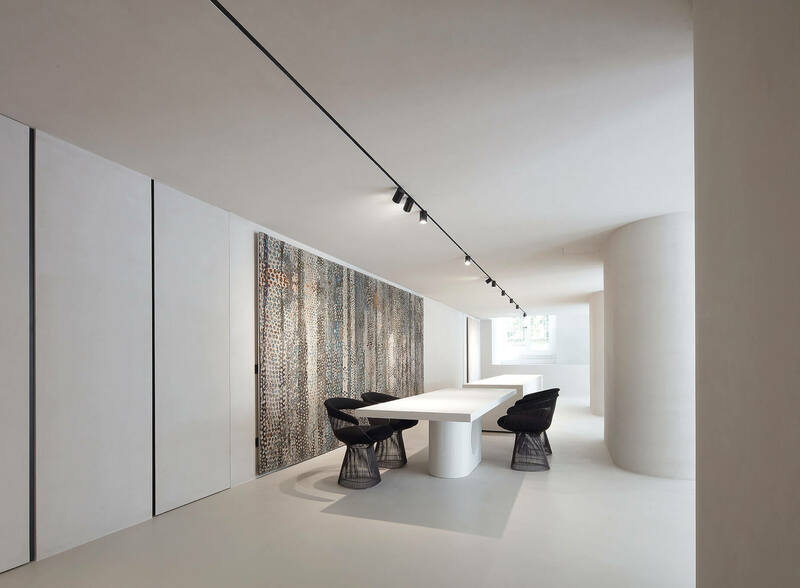 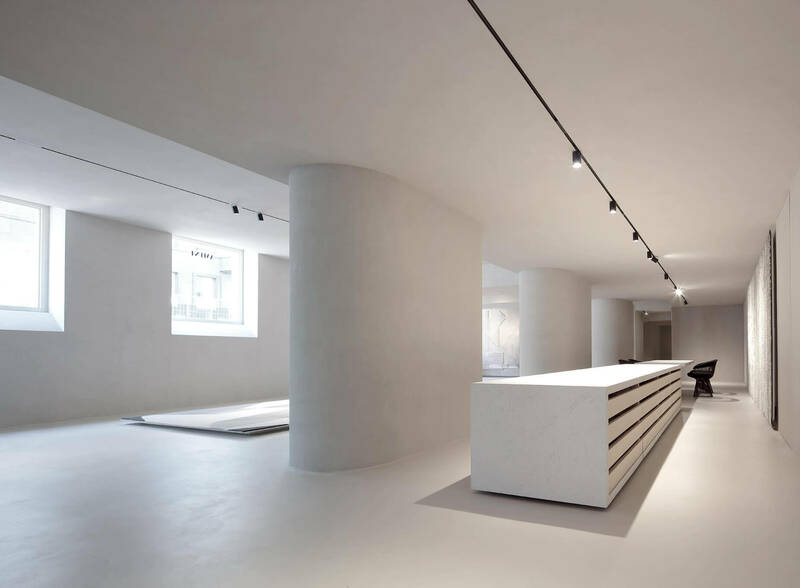 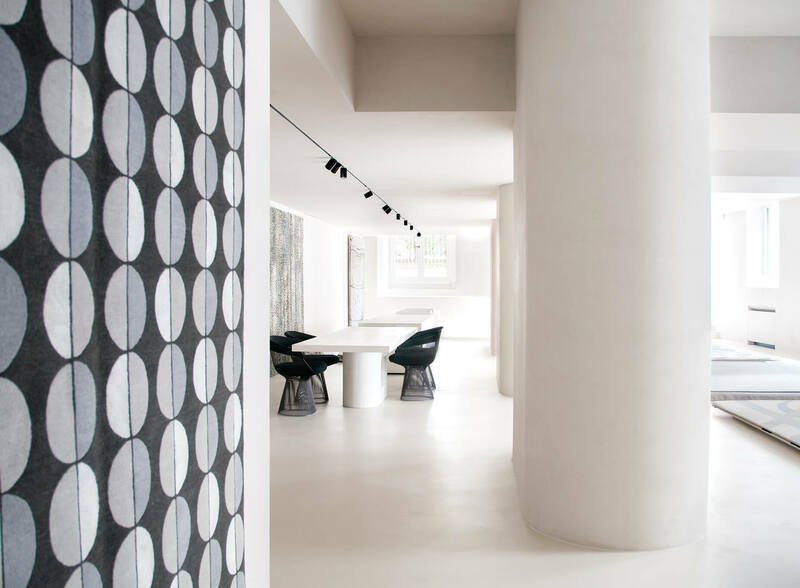 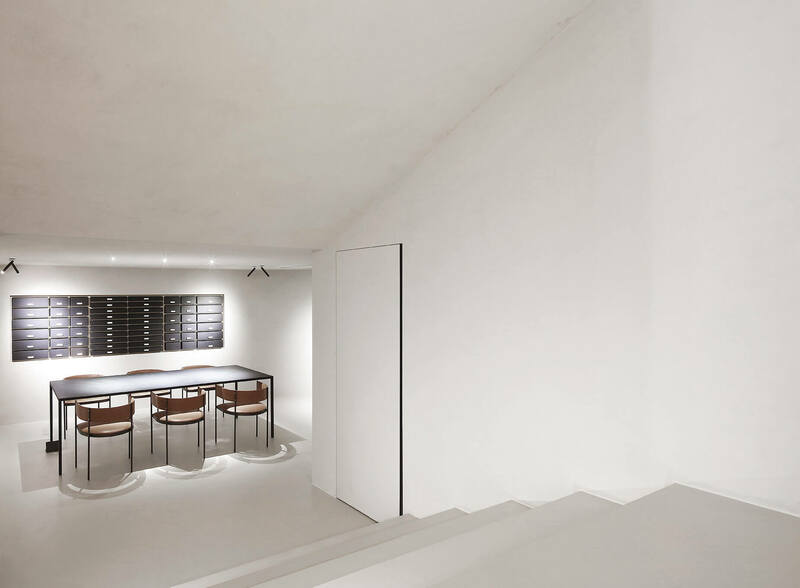 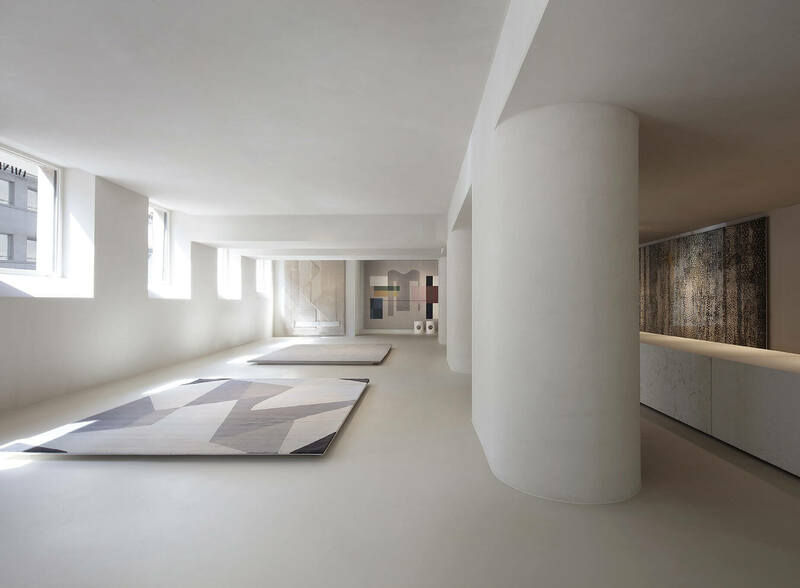 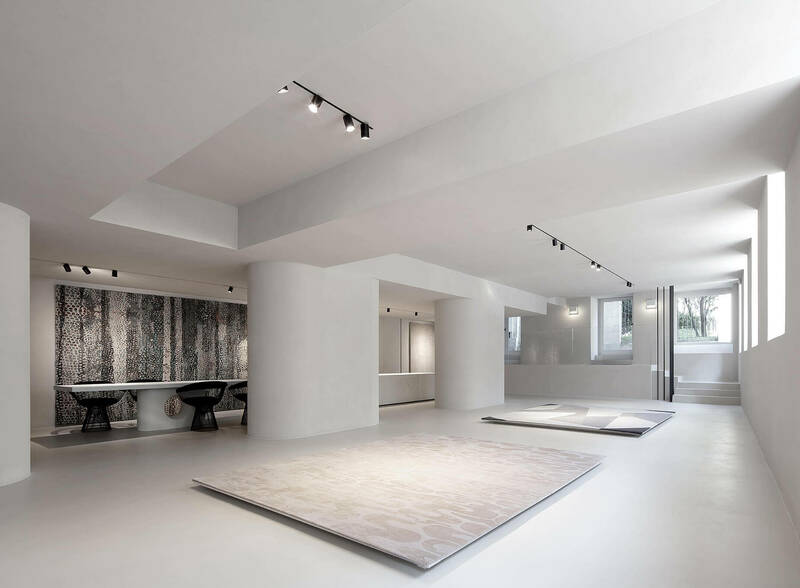 Located in the center of Milan, the Amini Showroom is also conceived as a gallery, base for artistic and cultural events. 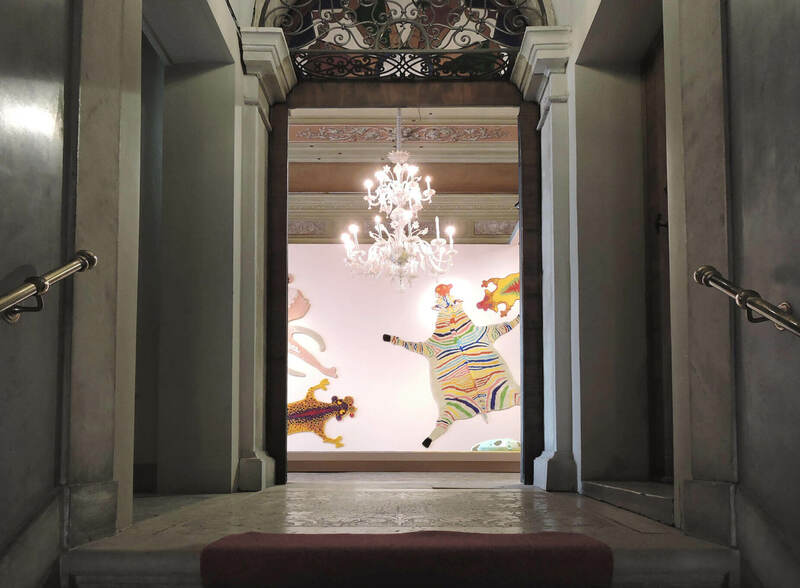 Amini is excited to announce the opening of “Fun and Fantasy”, a solo exhibition dedicated to the artist and designer Renate Muller. 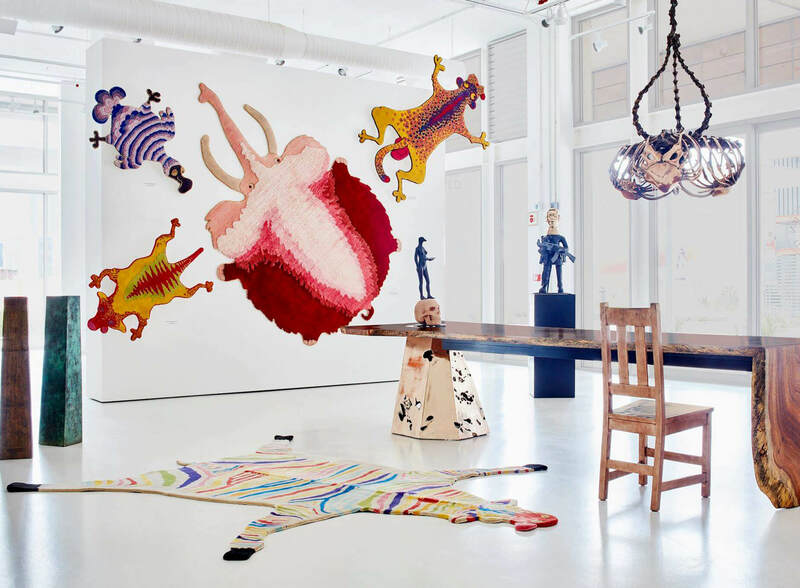 Taking place on the upper level of the 64 White Street base of the New York gallery R&Company, when the space is transformed in a fairy tale landscape. 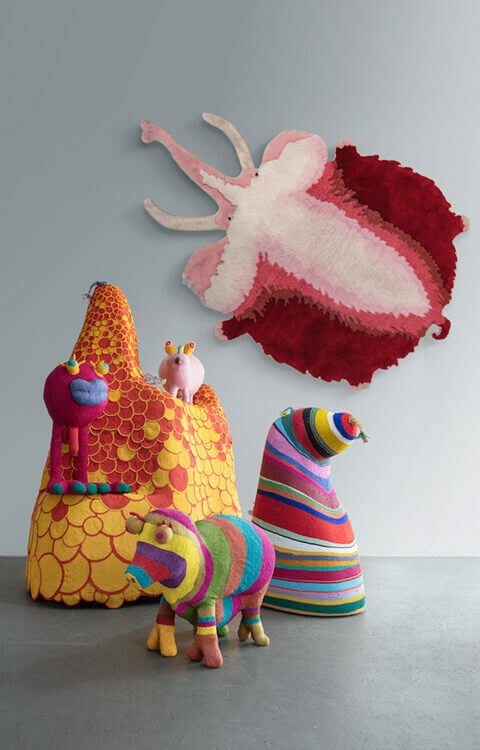 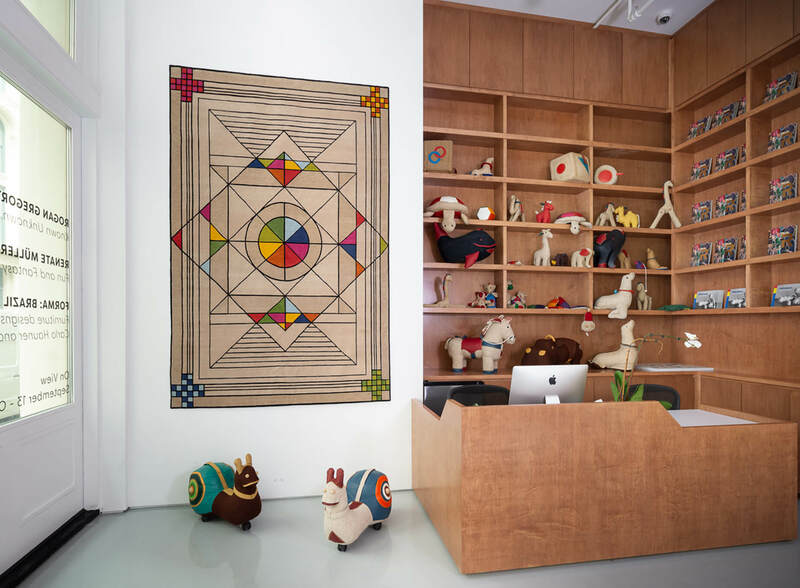 On view are Muller latest toy designs that are all unique pieces and handcrafted, so is the Universe carpet, designed in collaboration with Amini for the Woven Forms Exhibition, presented at the 57th International Venice Biennale. 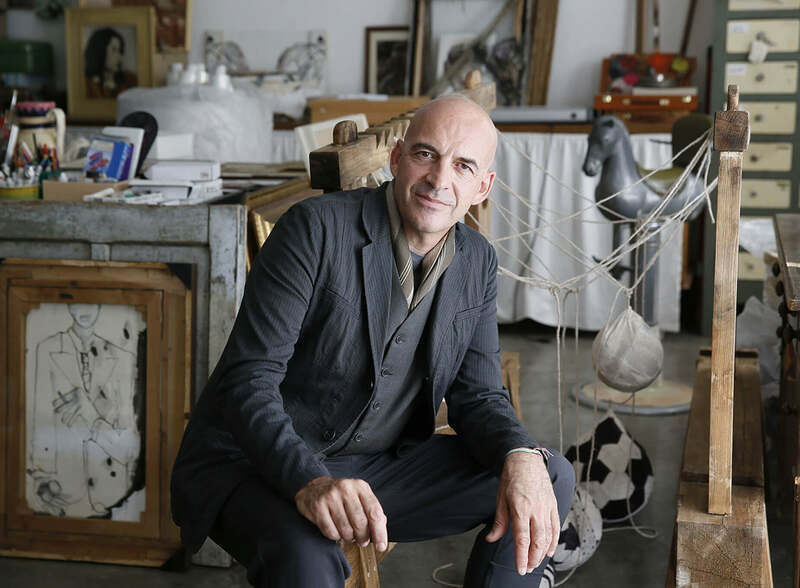 Architect, director, photographer, artist and above all, one of the most eclectic and prolific designers of the Italian twentieth century, Ico Parisi is now receiving an increasing interest from all over the world. 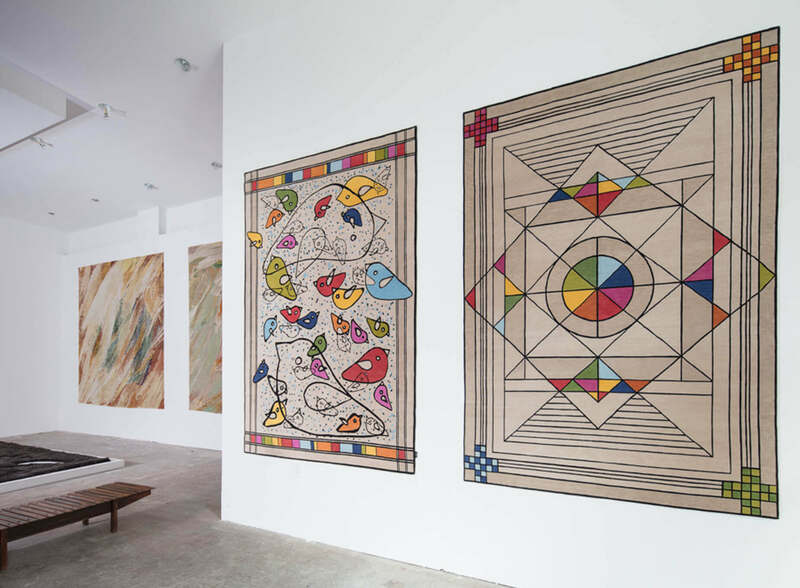 Collectors’s demand concerning his art works is rising significantly, as reported by international auction houses. 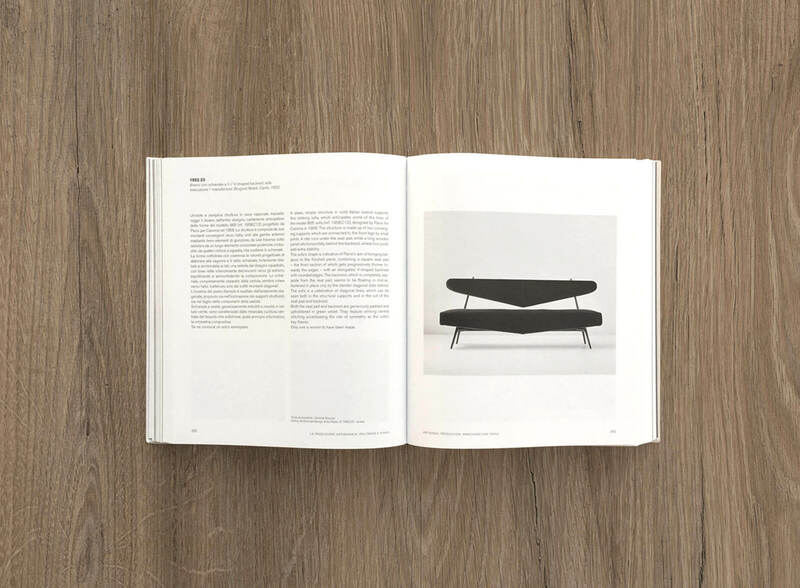 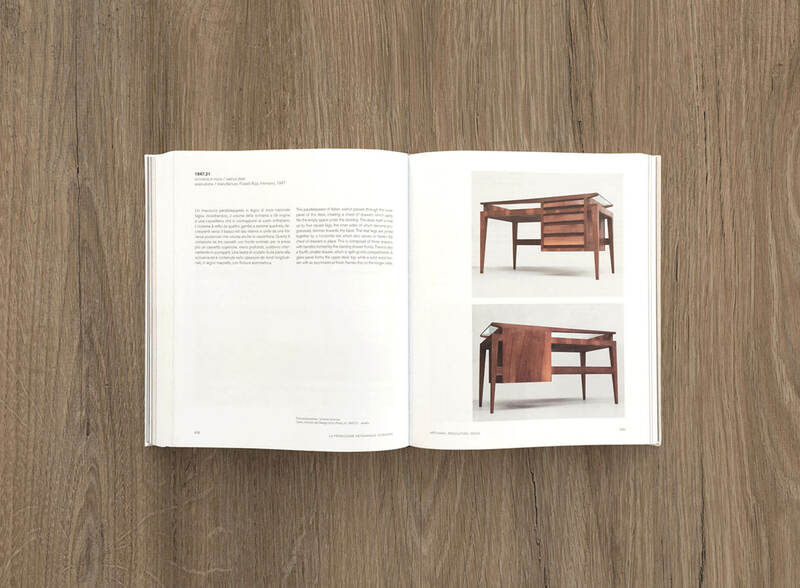 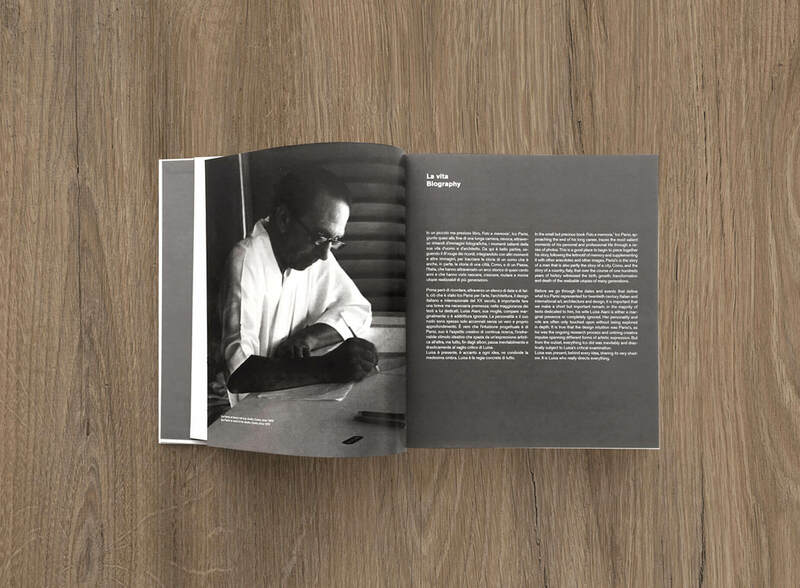 Today Mr. Parisi’s work is recorded in a philological order thanks to the catalog edited by Roberta Lietti, responsible of the cultural legacy of the artist, enriched by an introduction by Marco Romanelli, critic of Italian design. 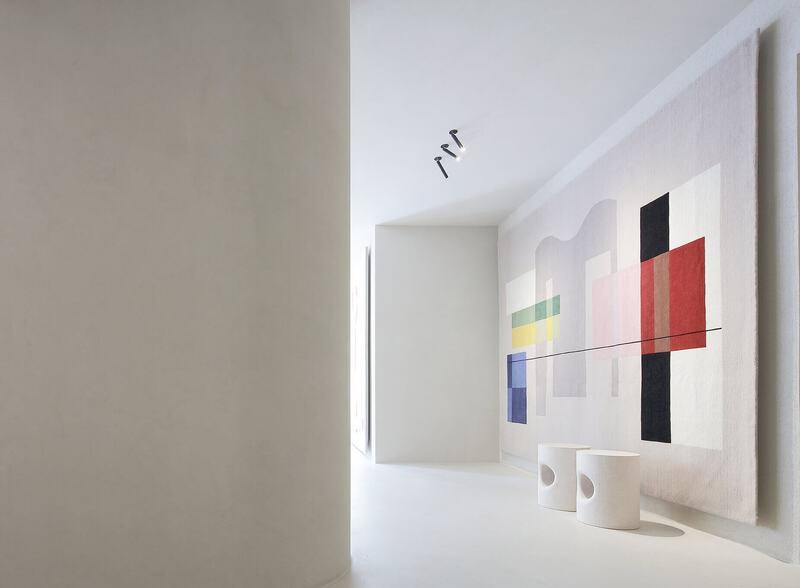 Proudly, Amini pays tribute to Roberta Lietti who, with her passion for Ico Parisi’s work, has made a fundamental contribution to the design development of Onde and Utopia rugs, inspired by recurring motifs of the master’s work. 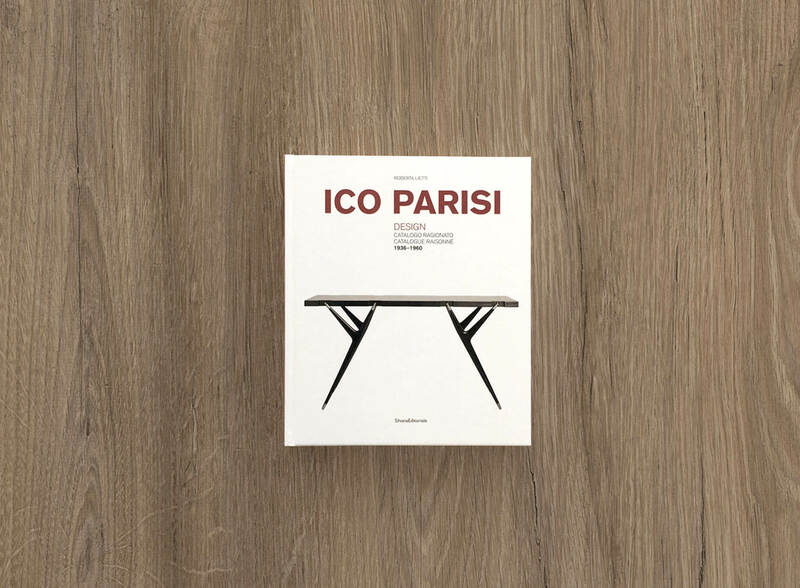 Ico Parisi design. 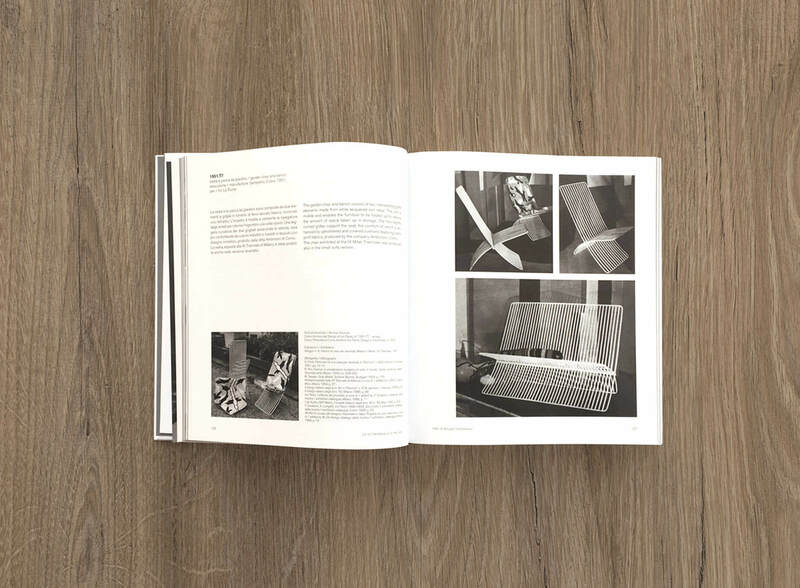 Catalogue raisonné 1936-1960. 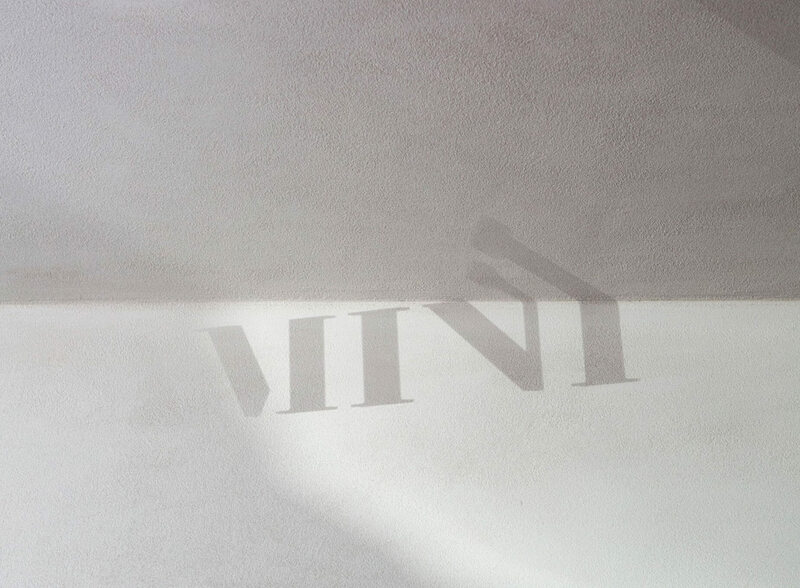 SilvanaEditoriale. 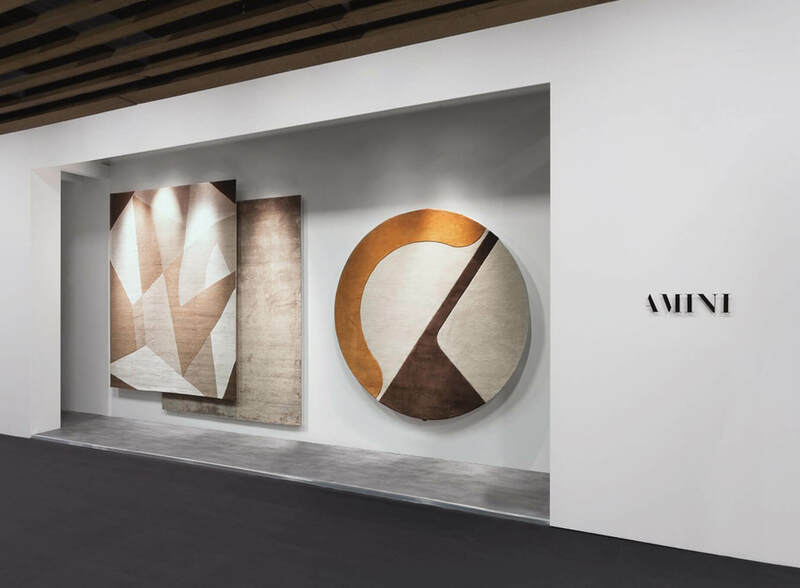 Amini was rewarded with the significant recognition: mention as Best Communication at the Carpet Design Awards in occasion of the 2018 edition of Domotex. 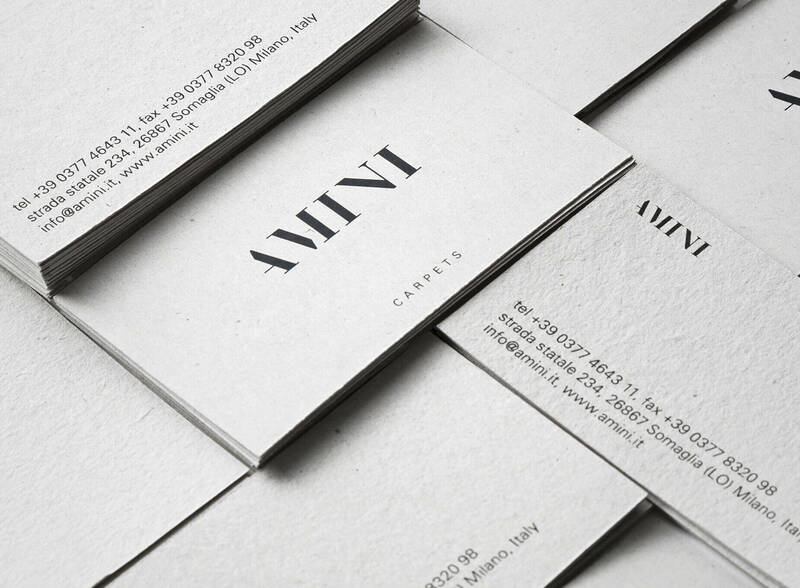 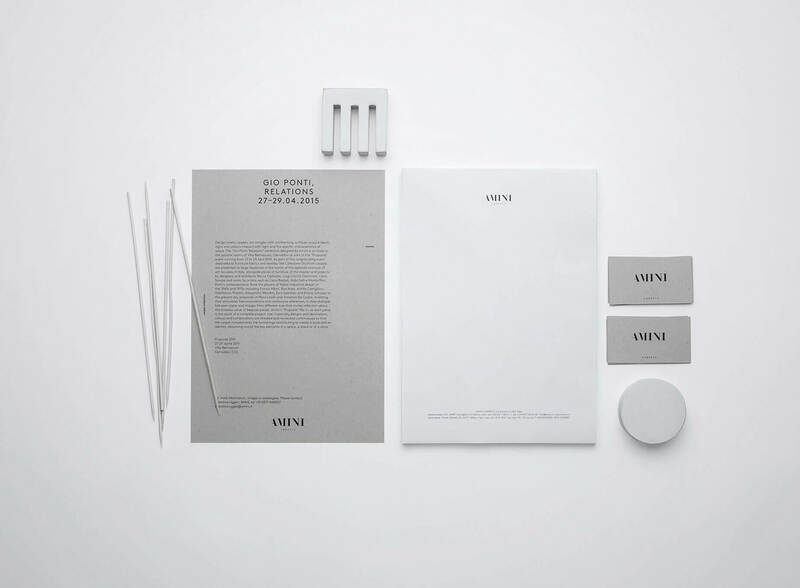 A prize received thanks to the efficacy of its strong visual identity, coherent and unique, able to enhance the particular qualities of the reality of Amini with highly distinctive solutions. 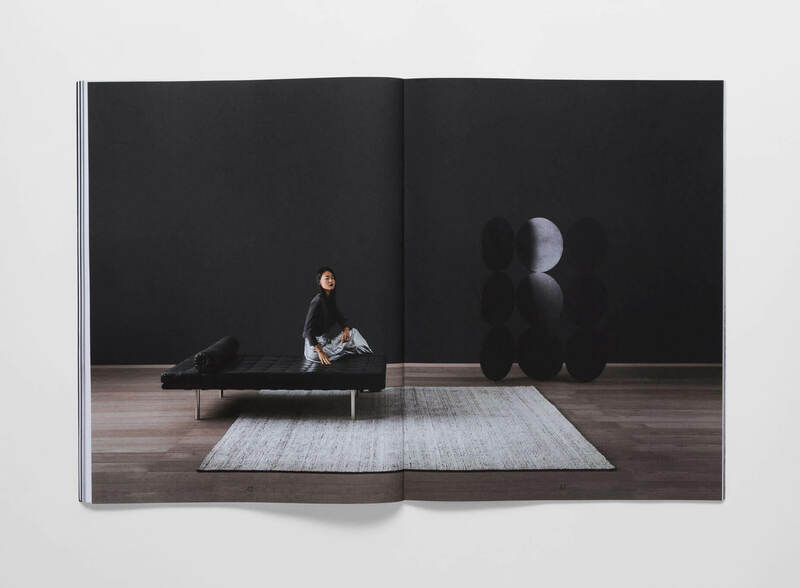 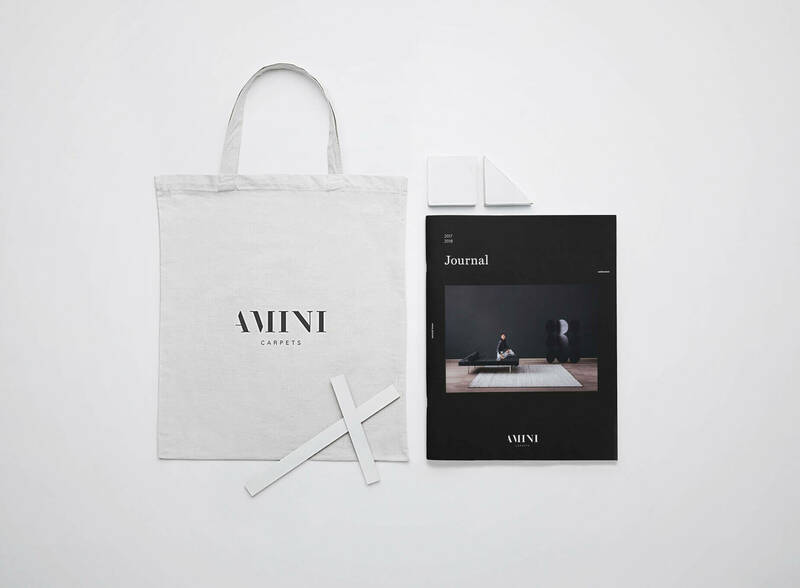 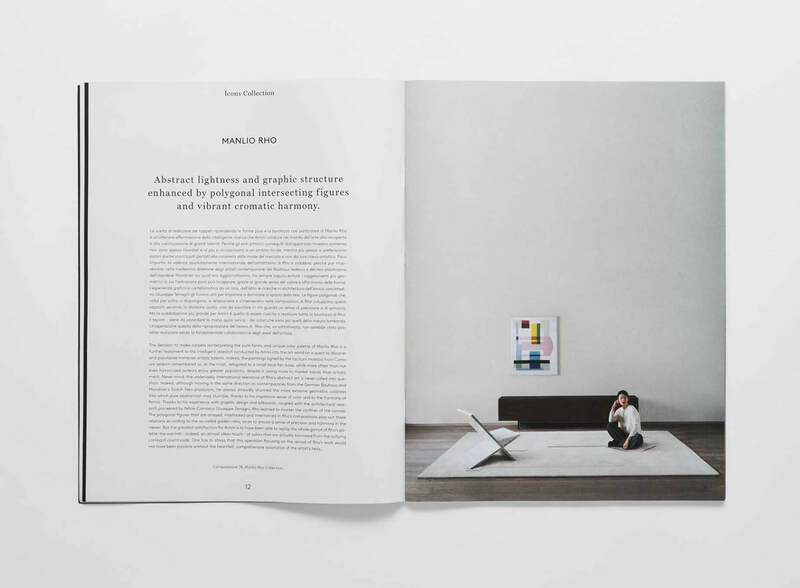 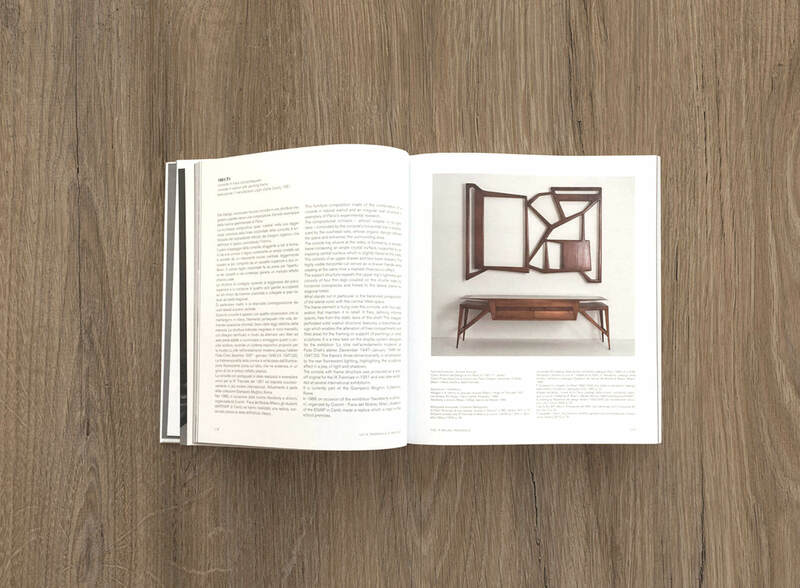 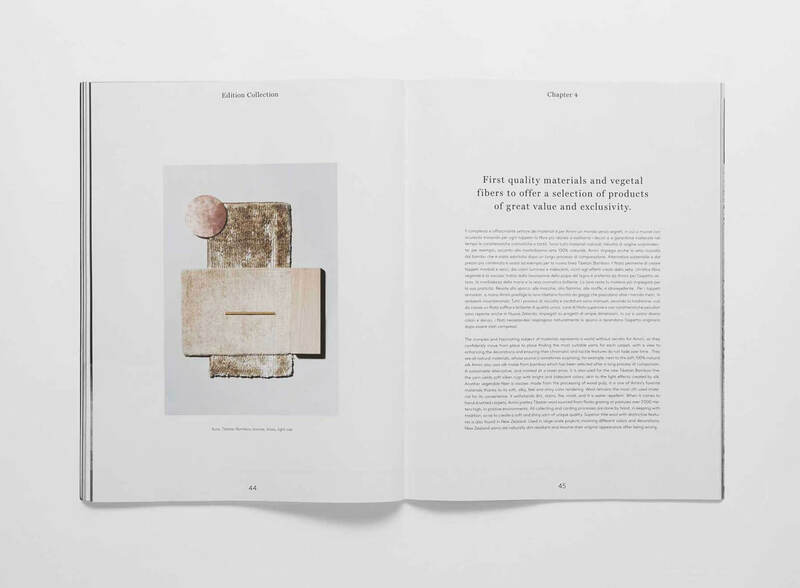 Curated since the beginning by studio Juma, in close collaboration with the company staff, the communication of Amini is a set of different supports, from technical to photographic catalogues, from website to social media management , up to the project and design of the exhibition spaces. 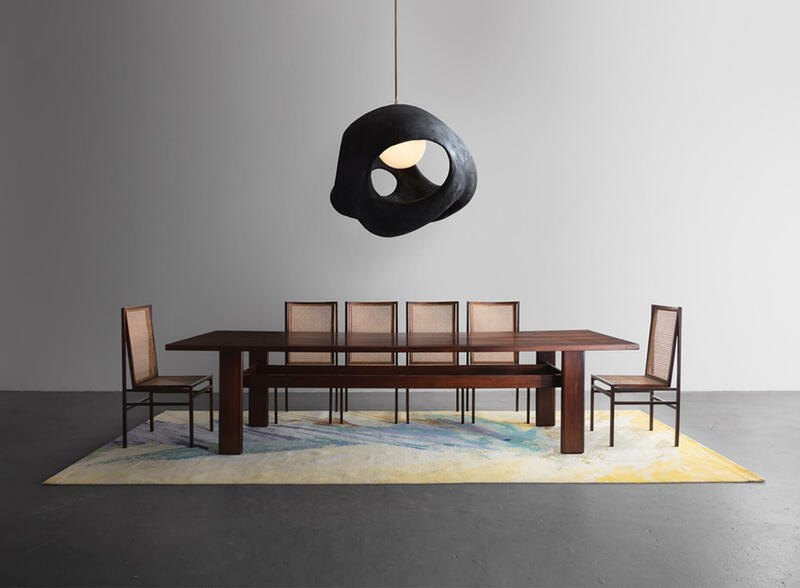 R & Company, together with renowned Italian carpet producer Amini, presents Woven Forms, opening October 12 in a pop-up location in Tribeca. 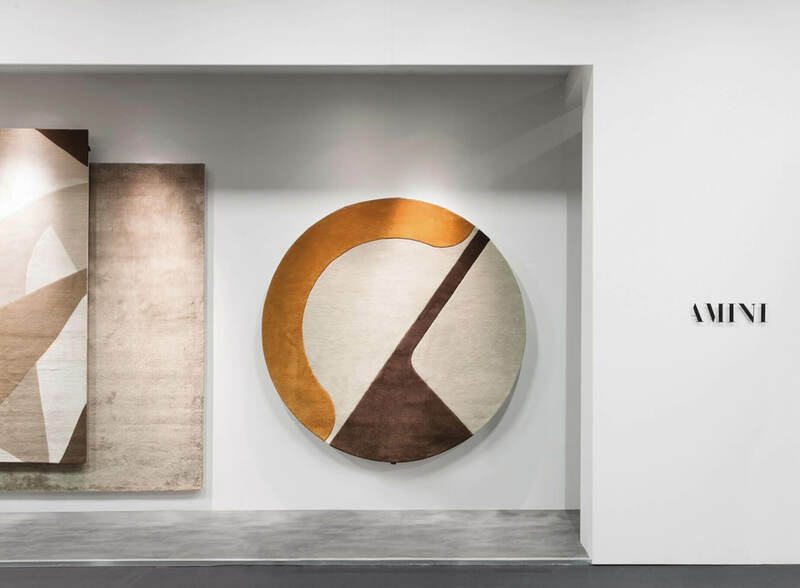 After a successful debut this May in Venice during the 57th International Art Exhibition, the carpets will for the first time ever be shown as a group in New York. 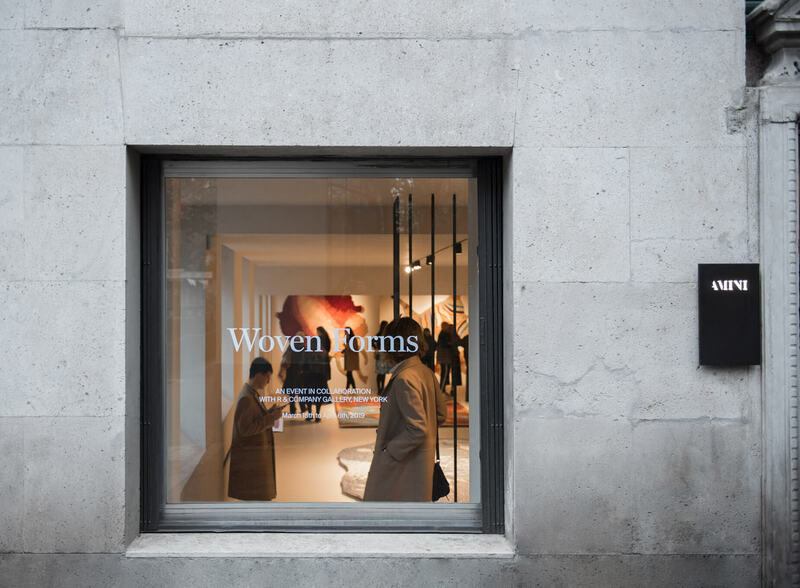 Woven Forms includes an extensive catalogue and a short documentary film that tells the comprehensive story behind the limited edition works. 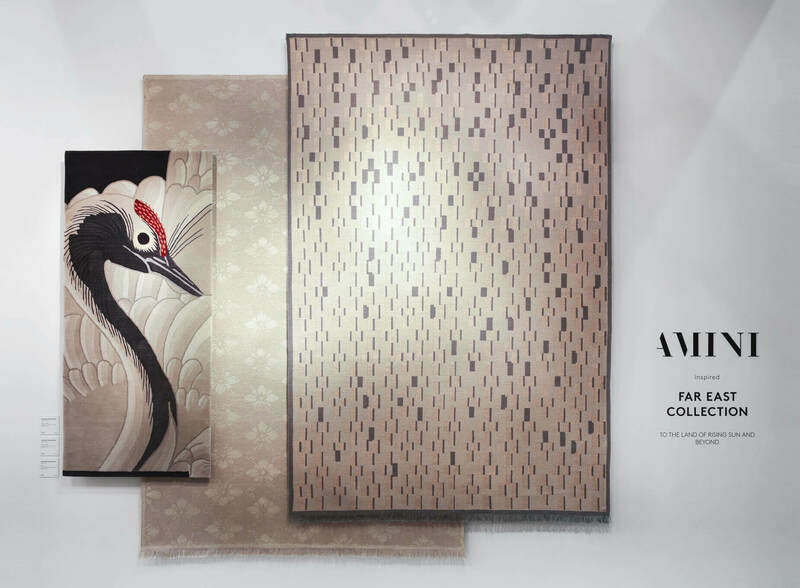 Amini is glad to invite you at the September edition of Maison&Objet, in Paris. 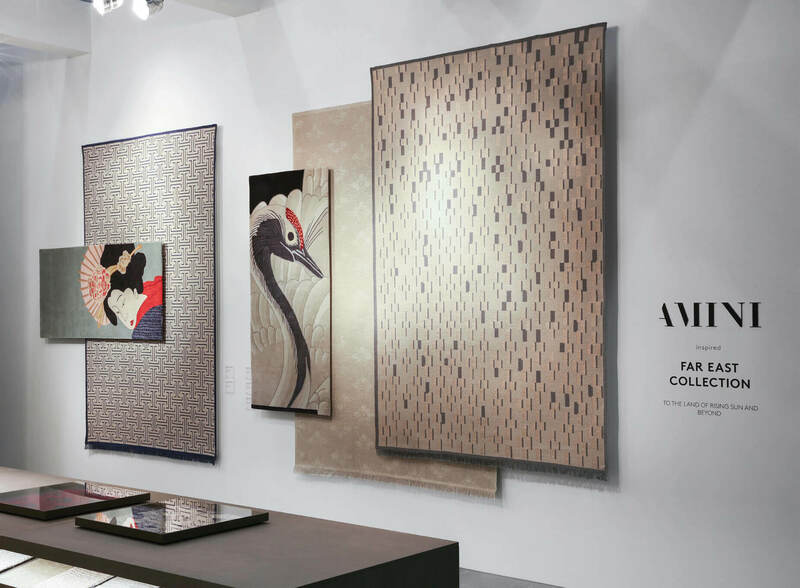 On this occasion Amini will introduce its new collection, a synthesis of decors raging from traditional to contemporary, that make parts of the most recognizable Oriental aesthetic. 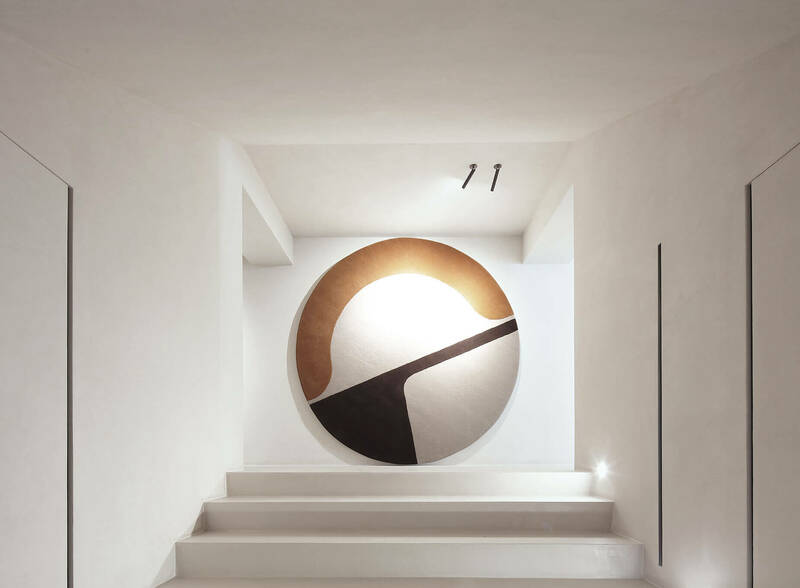 A journey through the Lands of the Far East due to the revisitation of iconic subjects matched with rugs with simple and clean graphic textures. 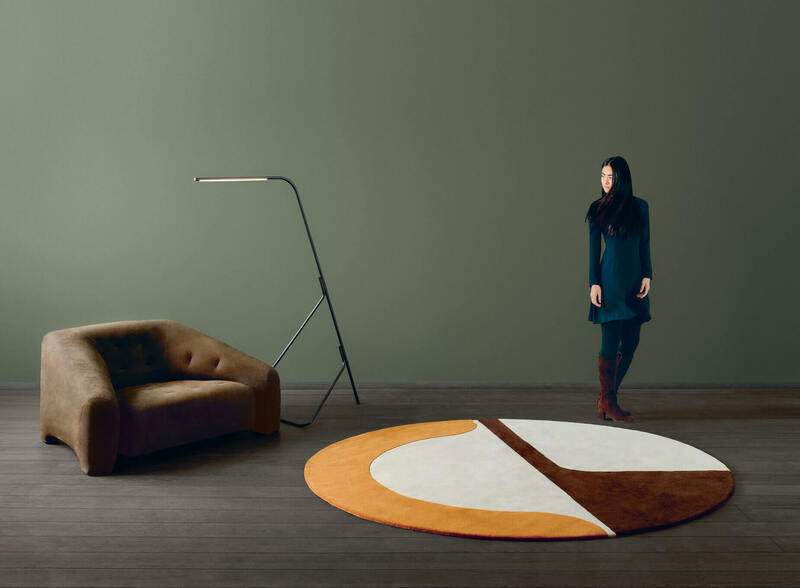 The upturn of the rug as a form of art and expression of contemporary design can now be considered an international trend. 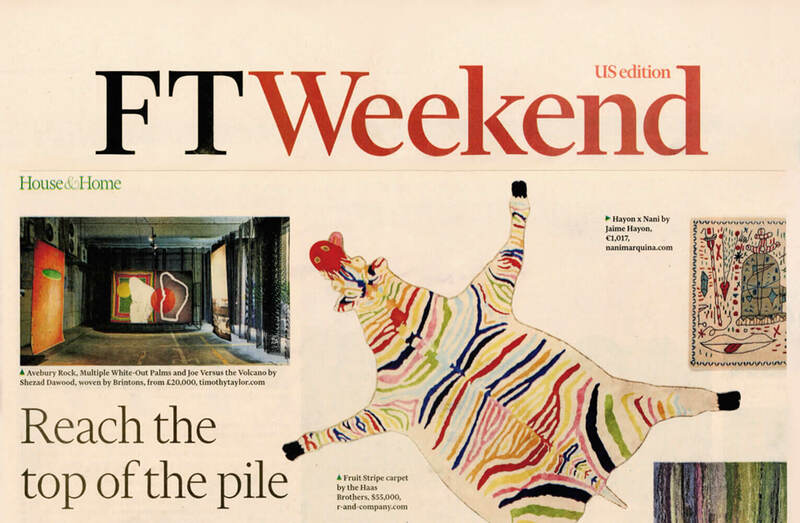 This is confirmed by a recent publication of the Financial Times dedicated to this theme: a broad essay exploring the most significant cases emerging in the most prestigious ongoing events, from London to Miami, from Milan to New York. 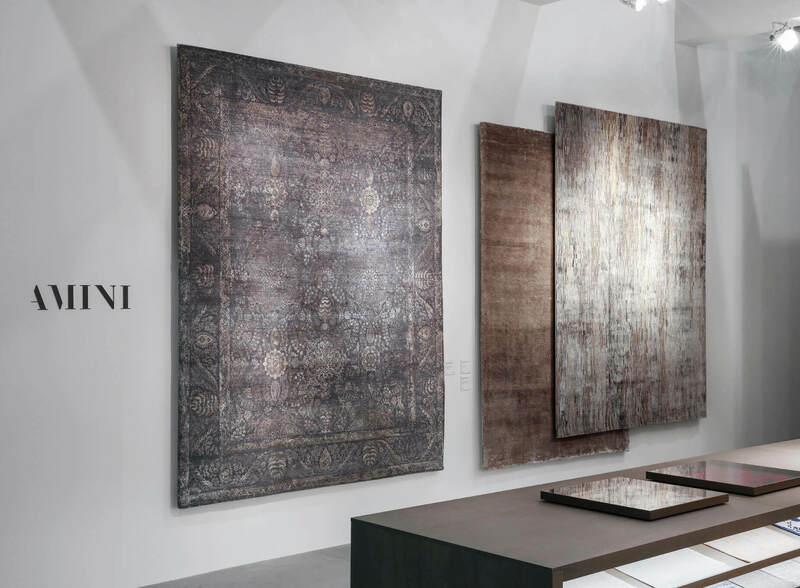 A phenomenon that sees Amini Carpets and its partner R&Company New York as one of the most lively and significant realities in the field. 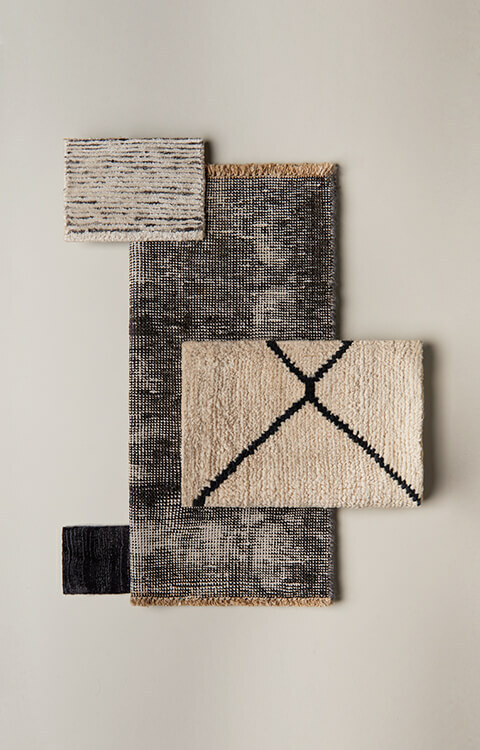 From December the 6th to the 10th in collaboration with the New York based Gallery R&Company, Amini will exposes a selection of limited-edition rugs from the Woven Forms initiative, which debuted in occasion of the 57th International Biennale of Art in Venice, beside a streamlined overview of key historic and contemporary designs. 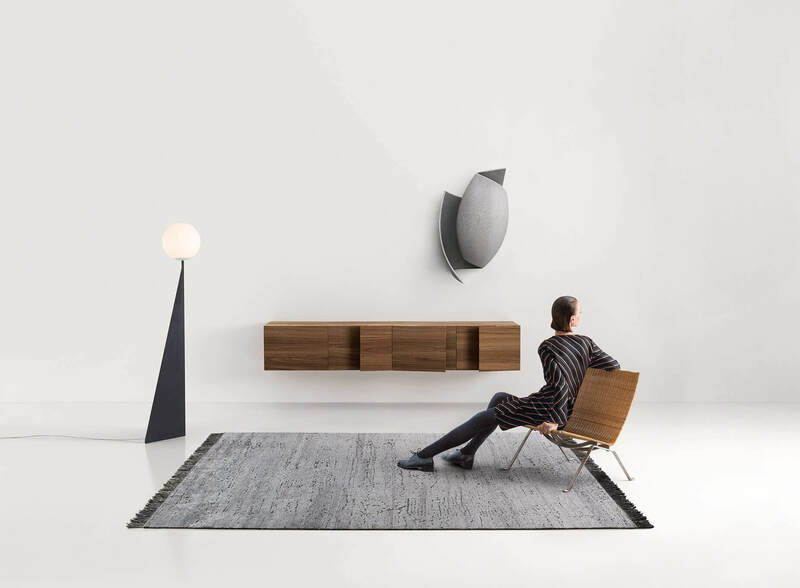 It is a pleasure to invite you to Design Miami/ Basel 2017. 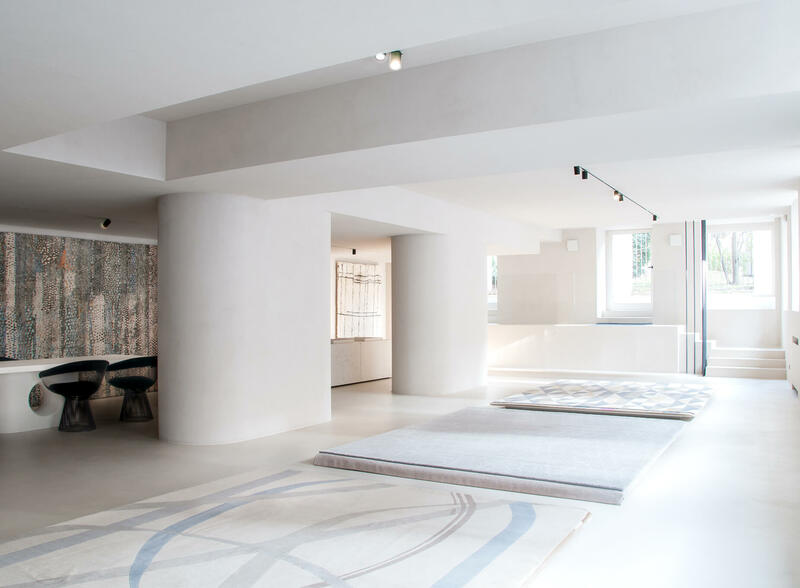 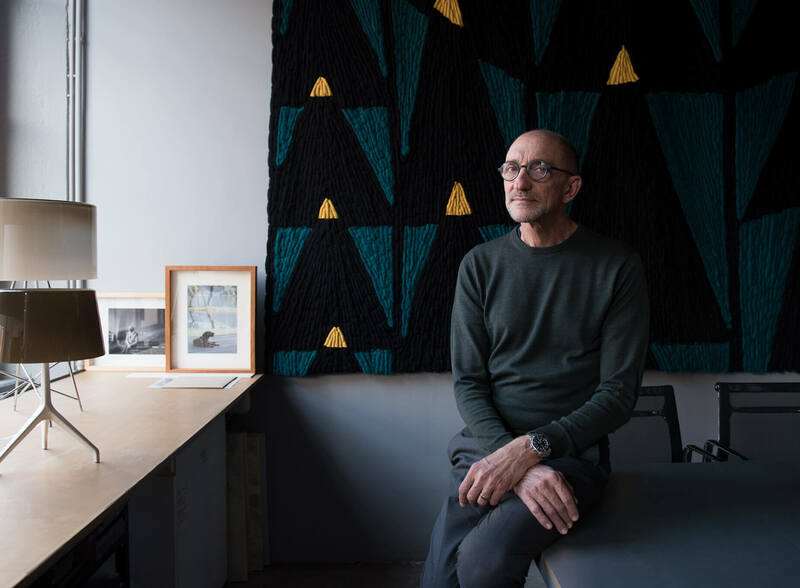 We will present in collaboration with the New York based Gallery R&Company a selection of limited-edition rugs from the Woven Forms initiative, which debuted last month in Venice, beside a streamlined overview of key historic and contemporary designs. 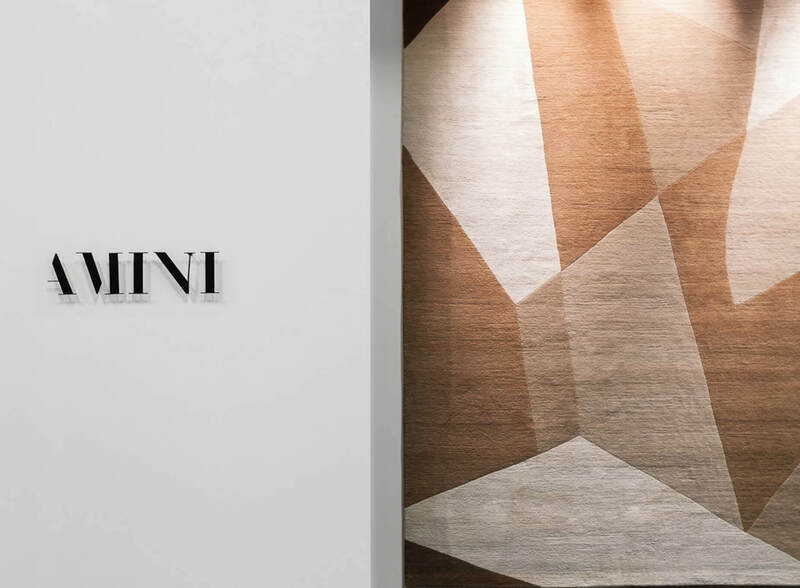 Amini, in collaboration with R & Company, is glad to invites you at the Woven Forms exhibition, on view at Palazzo Benzon in Venice, Italy. 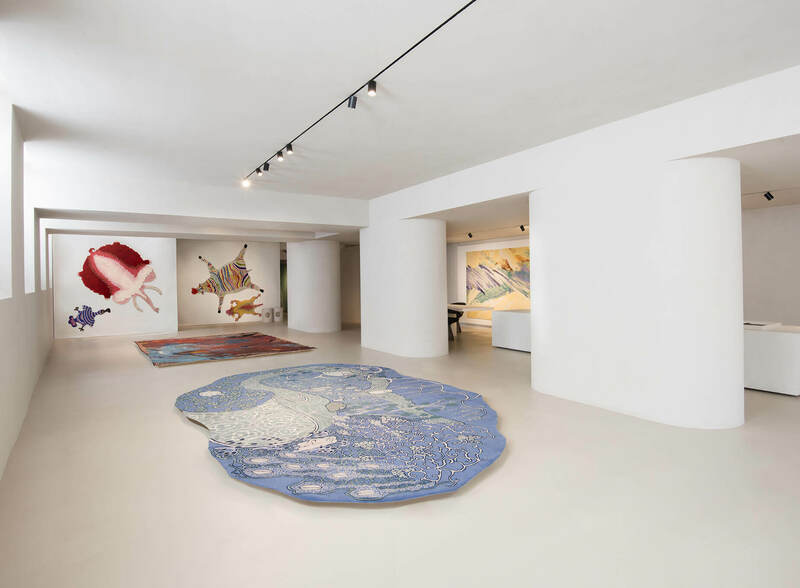 In conjunction with the 57th International Venice Biennale, the exhibition presents a selection of striking limited-edition carpets designed by contemporary artists and produced in our exclusive manufactories in Nepal and India. 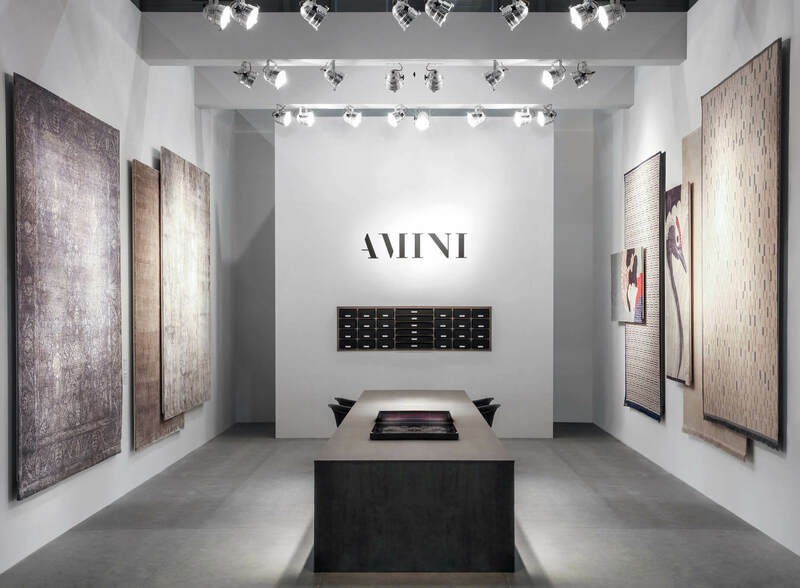 Amini is glad to invite you at Salone del Mobile in Milan from the 4th to the 9th of April. 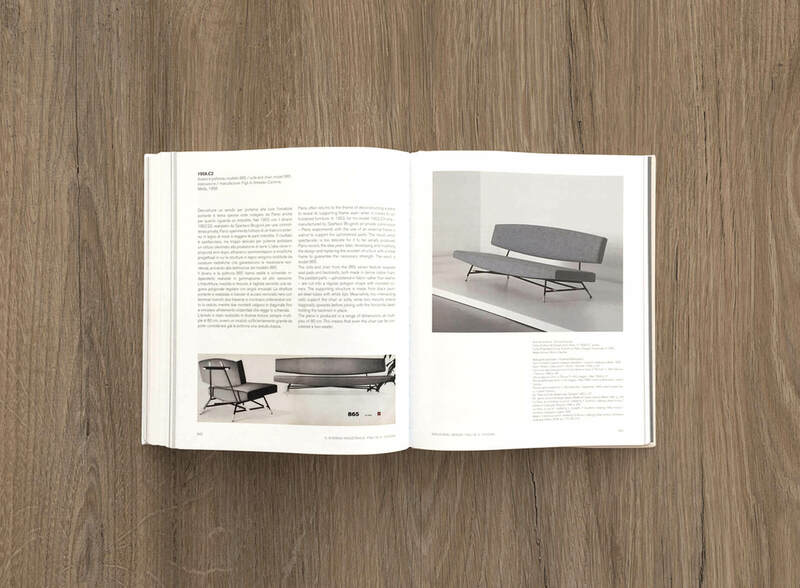 Come and discover the new Design Icons’ Collections: Manlio Rho and Ico Parisi. 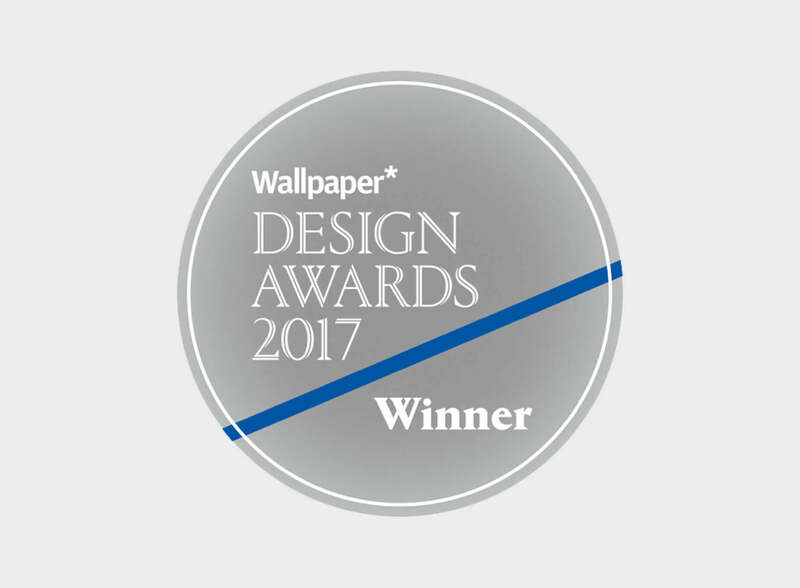 Amini i s glad to announce that has been selected for the 2017 Wallpaper* Design Award with Isola rug by Joe Colombo as Best Reissue. 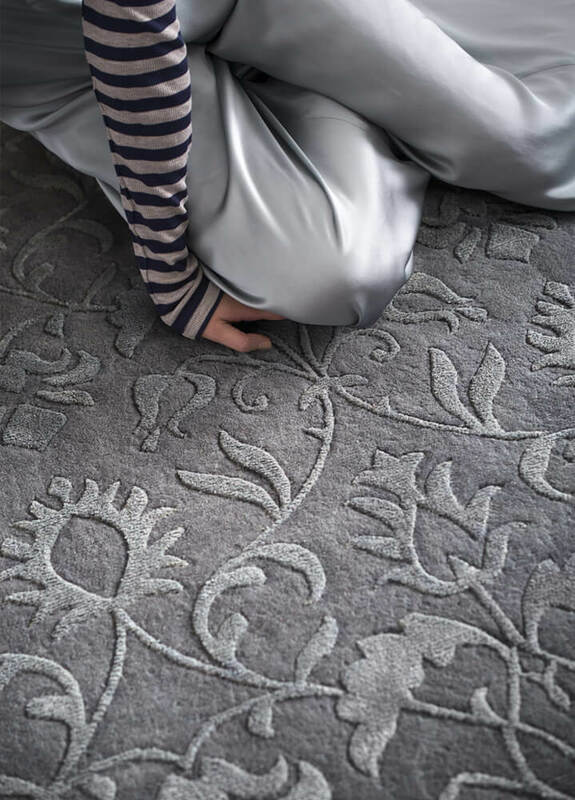 Lake, the new carpet of Wild Silk collection, will be presented at the Maison & Objet fair in Paris. 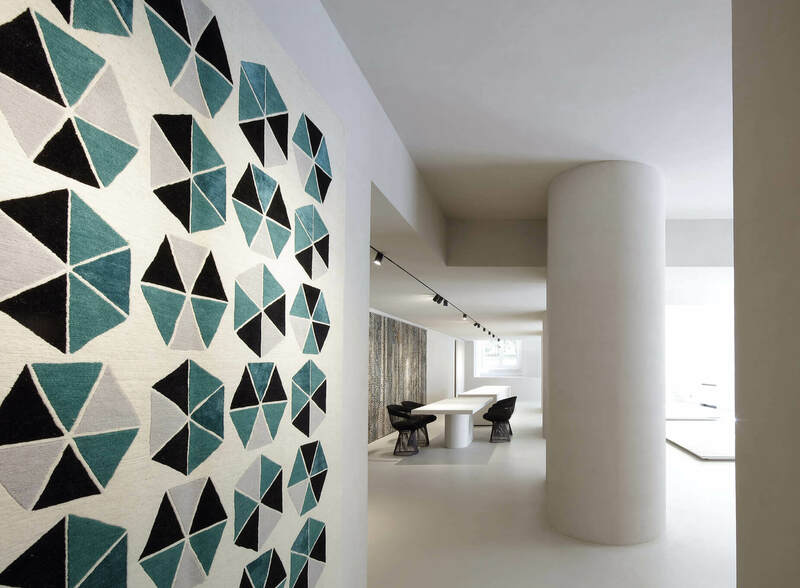 Come visit our stand at Imm Cologne fair, with a selection of Icons Collection carpets: Gio Ponti and Joe Colombo.